Location: On the road from Vrisoules to Frenaros village. Ammochostos district. 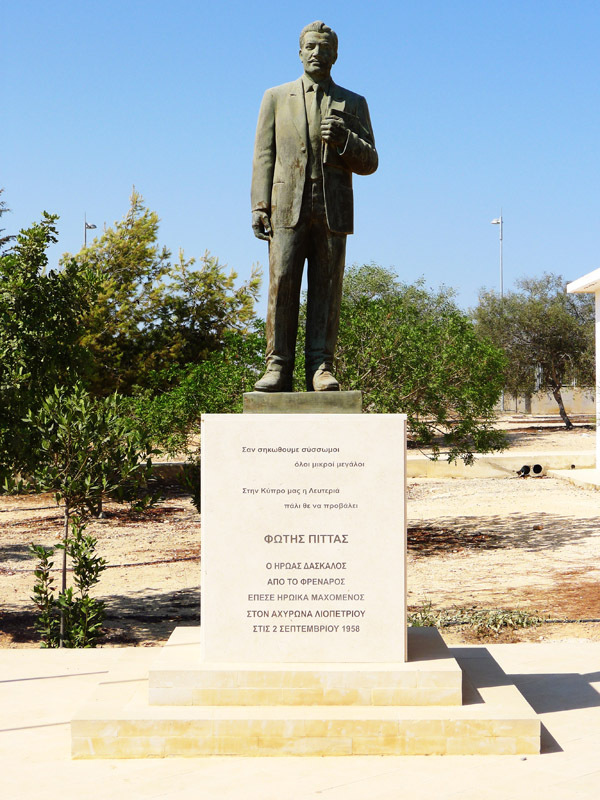 The bust was commissioned in 2010 by the Paralimni Community committee. This entry was posted in Turkish Invasion and tagged Ammochostos (Αμμόχωστος Famagusta), Vrisoules (Βρυσούλες), Yiannakis Giovanis (Γιαννάκης Τζιοβάνης), Yiapanis Philippos (Γιαπάνης Φίλιππος) on by admin. Location: 2nd Paralimni elementary school. 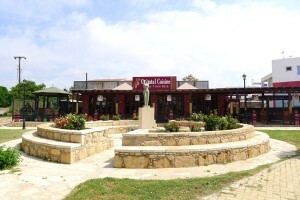 Ammochostos district. 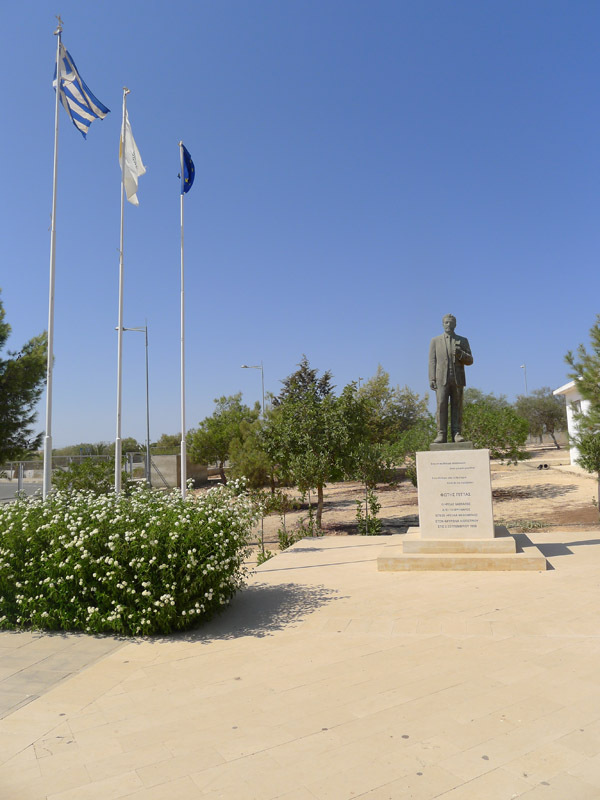 The memorial was commissioned by Adamou Koumis family and is dedicated to the missing Theodoros Koumis. 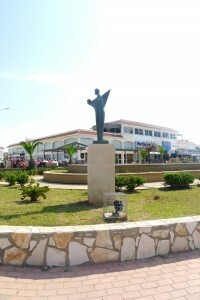 This entry was posted in Turkish Invasion and tagged Ammochostos (Αμμόχωστος Famagusta), Paralimni (Παραλίμνι), Symeonidis Chrisimos Christos (Συμεωνίδης Χρίσιμος Χρίστος) on by admin. 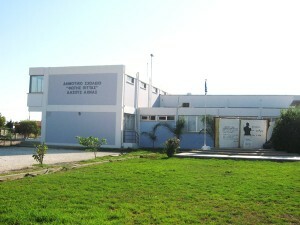 Location: 1st Paralimni elementary school. Ammochostos district. 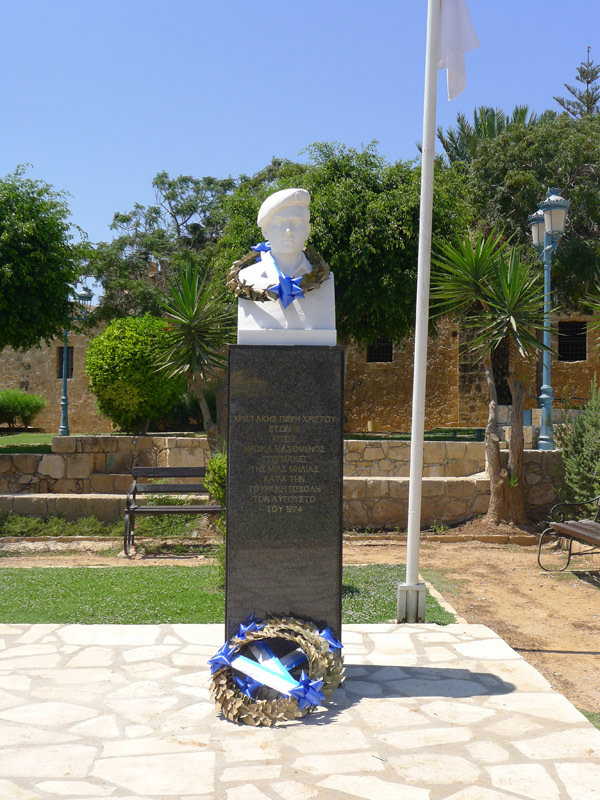 The memorial was commissioned by Markou Glykenou family and is dedicated to the missing officer Symeon Glykenos. Location: On the main road of Agios Georgios settlement, opposite Vrisoules-Aheritou elementary school. Ammochostos district. 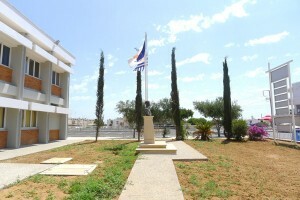 Vrisoules community committee commissioned the memorial and funded its construction. 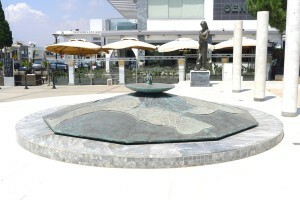 The unveiling took place on September 14th 1997. 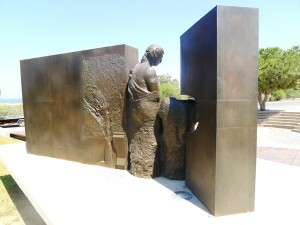 In 2012 the memorial was restructured and moved in a new location. 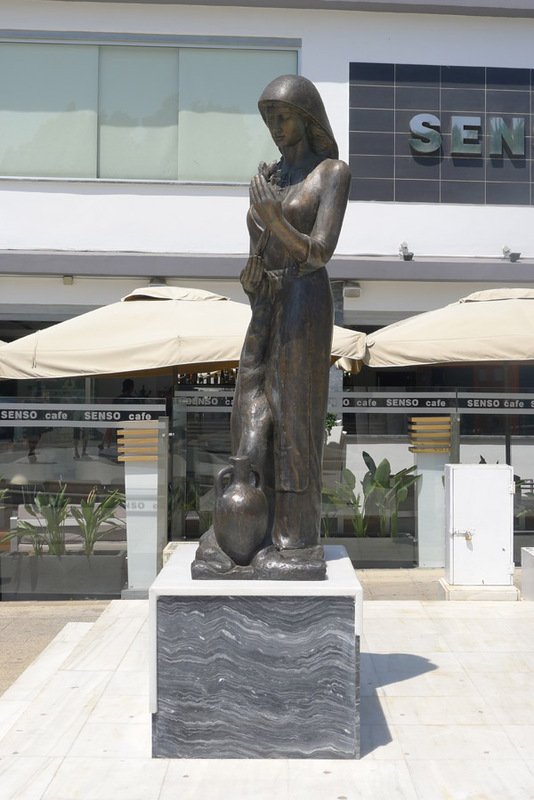 An exact copy of the statue is used for the memorial dedicated to the Cypriot mother at Aradippou village and for Kallipatira statue at Perivolia village, both of them in Larnaka district. 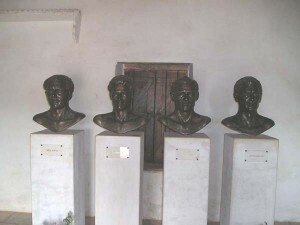 All three are made by the same sculptor. 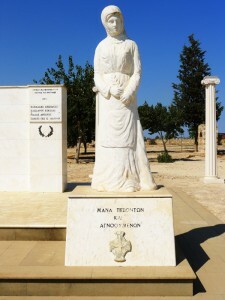 This entry was posted in Cypriot Women, Turkish Invasion and tagged Ammochostos (Αμμόχωστος Famagusta), Cypriot women, Terentis Andreas (Τερέντης Ανδρέας), Vrisoules (Βρυσούλες) on by admin. 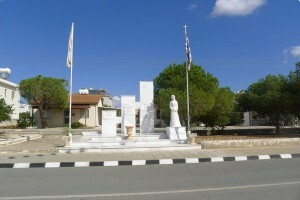 Location: Liopetri village. Ammochostos district. 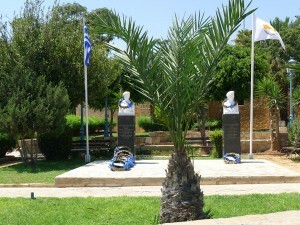 The memorial is dedicated to the EOKA 1955-59 fighters Andreas Karios (Ανδρέας Κάρυος), Ilias Papakyriakou (Ηλίας Παπακυριακού), Fotis Pittas (Φώτης Πίττας) and Christos Samaras (Χρίστος Σαμάρας). 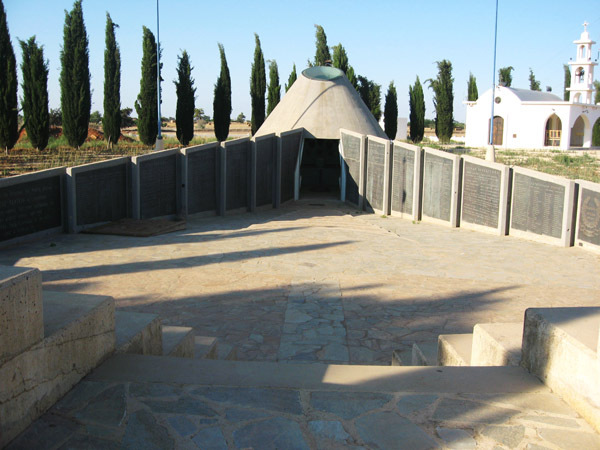 The barn at Liopetri is the place where the four fighters died on September 2, 1958. Through press reports it is clear that the initiatives to turn it into a commemoration place started in 1962. 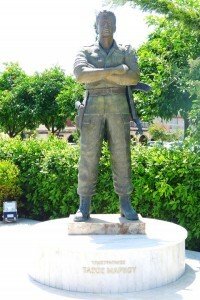 At that time, Andreas Savvidis made the statues of the fighters. Their gradual erosion during the following years became an issue of concern. 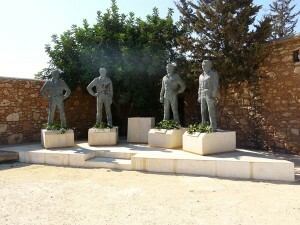 In 1990, after the restoration of the barn, the Cypriot government decided to renew the old statues of the four heroes. The Ministry of Education’s first call for the artistic competition took place in 1992 and was addressed strictly to Cypriot sculptors and/or architects. A second competition was called on June 7th 1994 implying no conclusion was reached for the first call. Nikos Kourousiis and Margarita Danou won the second competition call. 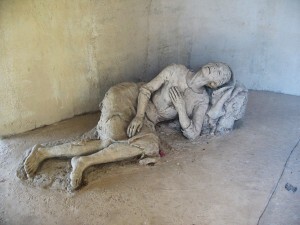 According to their proposal the busts of the four dead should be placed inside the barn. As they noted: “This placement invokes a sacred feeling equivalent to the sanctity of the holly communion that takes place on the altar. 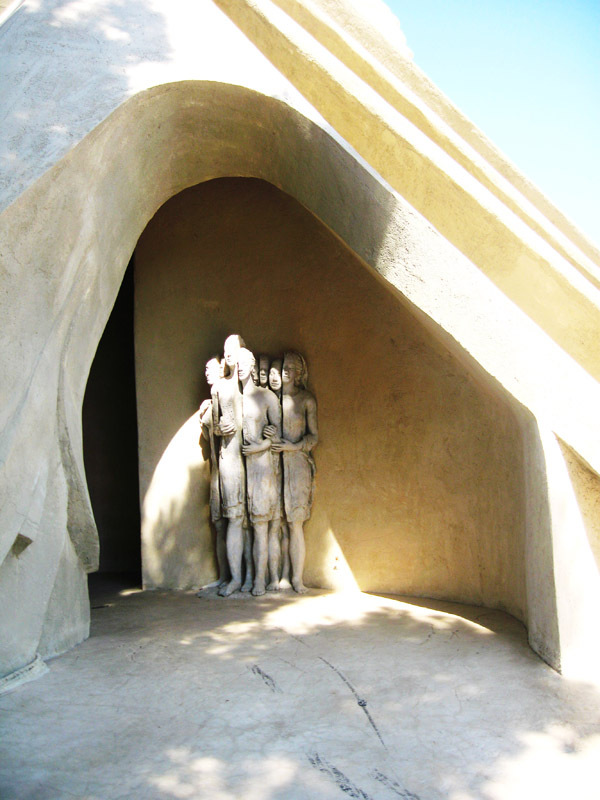 The visitor is compelled to enter the sacred place of the heroes’ sacrifice with feelings of reverence”. 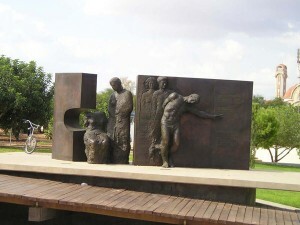 The unveiling of the monument took place on September 7th 1997. As a consequence of the local community and the families of the dead insistence to have the fighters placed in plain sight in the yard of the memorial place, Nikos Kourousiis committed to sculpt additionally four statues. The project was assigned to him in October 1997. 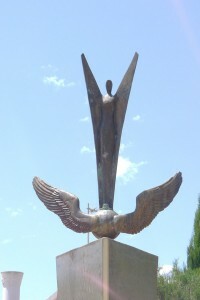 Following the artist’s suggestion, the four statues were symbolically placed in front of the wavy and abstract depiction of the flag, which by association evokes the flight of a bird. 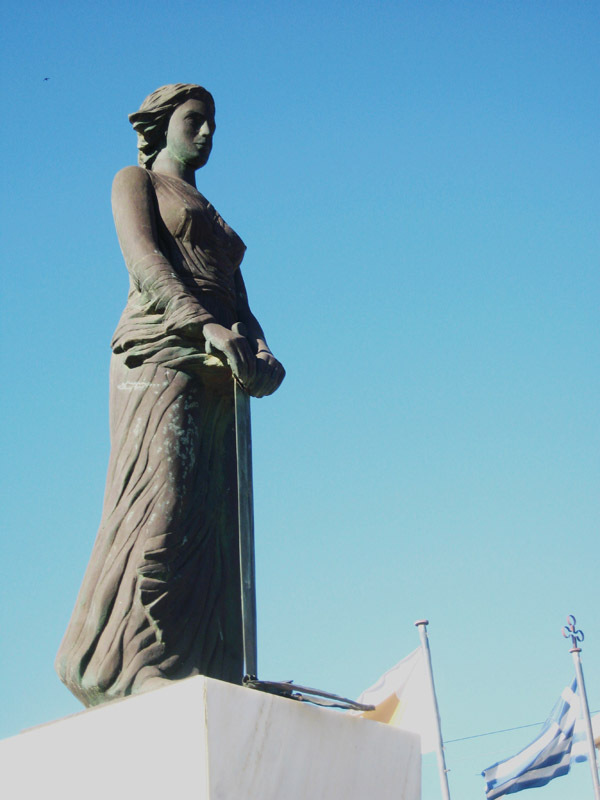 The flag, along with the circular platform the statues stand on, is reminiscent of a stage theater foreground. 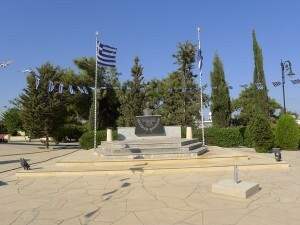 In 2007 the statues were moved and placed in their current spot, at the perimeter of the memorial ground, and on individual low marble pedestals, as a consequence of the locals’ persisting objections that the memorial weakens its expressive power because of the arrangement of the four fighters in front of the waving flag. The old photograph is available here courtesy of Dr. Adrienne Christiansen. ~Αγών (Agon), August 31, 1964, p. 6. ~ Εικαστικά Δρώμενα, Ε.ΚΑ.ΤΕ, October 1999, p. 10. ~ Ελευθερία (Eleftheria), June 11, 1970, p. 5. 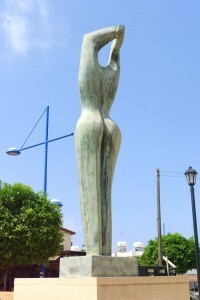 ~ Kambouridis, Charis. 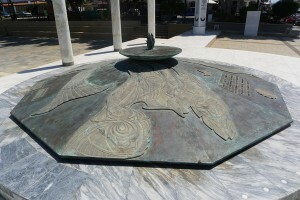 «Η τέχνη των ηρώων», Τα Νέα (Ta Nea), January 13, 1999. ~ Μάχη (Mahi), July 18, 1962, p. 6. ~ Μάχη (Mahi), September 12, 1962, p. 6. ~ Σημερινή (Simerini), June 30, 1979, p. 8. 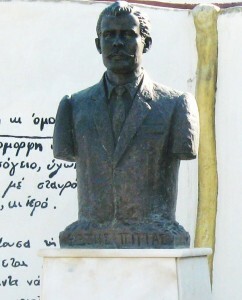 ~ Φιλελεύθερος (Fileleftheros), April 6, 1984, p. 1. ~ Φιλελεύθερος (Fileleftheros), November 2, 1990, p. 10. 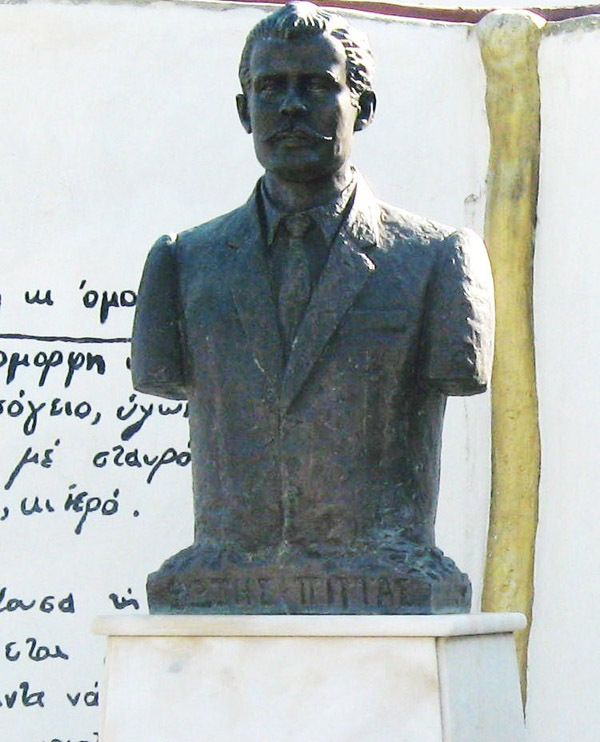 ~ Φιλελεύθερος (Fileleftheros), January 21, 1992, p. 9. ~ Φιλελεύθερος (Fileleftheros), November 9, 1992, p. 7. ~ Φιλελεύθερος (Fileleftheros), January 19, 1997, p. 4. ~ Φιλελεύθερος (Fileleftheros), September 2, 1997, p. 4. 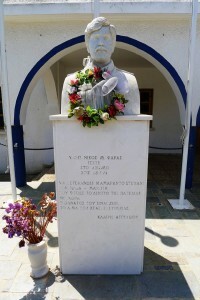 ~ Φιλελεύθερος (Fileleftheros), August 29, 1999, p. 37. ~ Χαραυγή (Haravgi), November 1980, p. 7. ~ Κρατικό Αρχείο Κύπρου, Αρχείο Πολιτιστικών Υπηρεσιών Υπουργείου Παιδείας & Πολιτισμού (State Archive of Cyprus): 268-1968-8, document July 25, 1991. ~ Κρατικό Αρχείο Κύπρου, Αρχείο Πολιτιστικών Υπηρεσιών Υπουργείου Παιδείας & Πολιτισμού (State Archive of Cyprus): 268-1968-9, documents January 29, 1992; February 4, 1992; September 21, 1992. ~ Κρατικό Αρχείο Κύπρου, Αρχείο Πολιτιστικών Υπηρεσιών Υπουργείου Παιδείας & Πολιτισμού (State Archive of Cyprus): 268-1968-10, document June 11, 1992. ~ Κρατικό Αρχείο Κύπρου, Αρχείο Πολιτιστικών Υπηρεσιών Υπουργείου Παιδείας & Πολιτισμού (State Archive of Cyprus): 268-1968-16, documents August 20, 1997; October 16, 1997; November 7, 1997. ~ Κρατικό Αρχείο Κύπρου, Αρχείο Πολιτιστικών Υπηρεσιών Υπουργείου Παιδείας & Πολιτισμού (State Archive of Cyprus): 268-1968-19, document September 6, 1999. ~ Ιστορικό Αρχείο ΣΙΜΑΕ (Historical Archive of the Board for the Historical Memory of the EOKA 1955-59 struggle), 17.94.7 vol. 7, Meeting Minutes March 16, 2006; July 6, 2006; July 6, 2008; September 14, 2008. 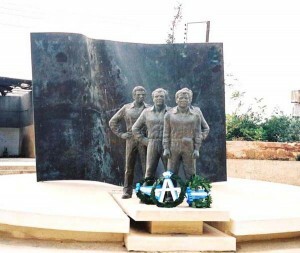 ~ Ιστορικό Αρχείο ΣΙΜΑΕ (Historical Archive of the Board for the Historical Memory of the EOKA 1955-59 struggle), 17.2008. 9, Meeting Minutes May 13, 2008. This entry was posted in EOKA 1955-59 and tagged Ammochostos (Αμμόχωστος Famagusta), Andreas Karios (Ανδρέας Κάρυος), Christos Samaras (Χρίστος Σαμάρας), Danou Margarita (Δανού Μαργαρίτα), EOKA 1955-59, Fotis Pittas (Φώτης Πίττας), Ilias Papakyriakou (Ηλίας Παπακυριακού), Kouroussis Nikos (Κουρούσιης Νίκος), Liopetri (Λιοπέρτι) on by admin. Location: Frenaros cultural center. Ammochostos district. 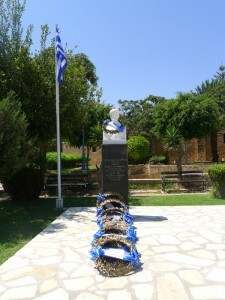 The memorial was commissioned by the Cypriot Organisation of Greek Teachers (ΠΟΕΔ/ POED) and the Frenaros Community. 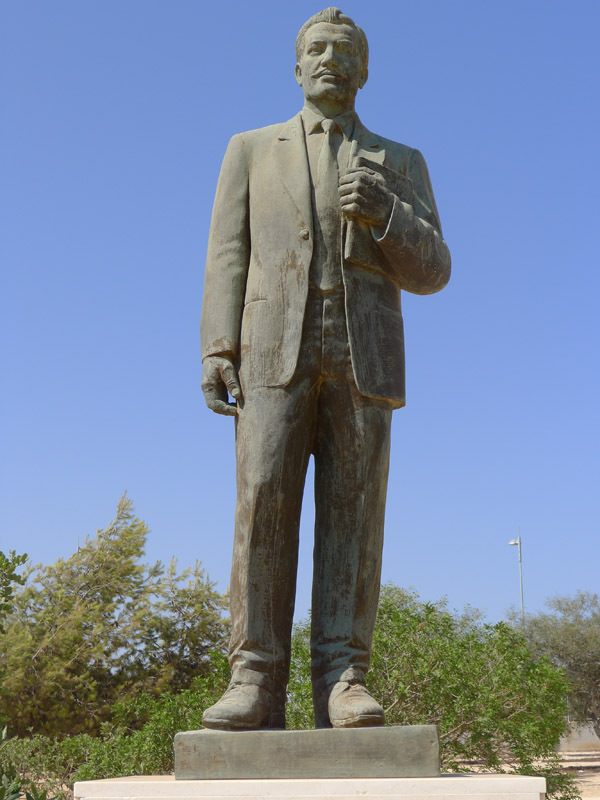 The unveiling of the monument took place on February 26th 1961. ~Νέοι Καιροί (Nei Keri), February 27, 1961, p. 1. 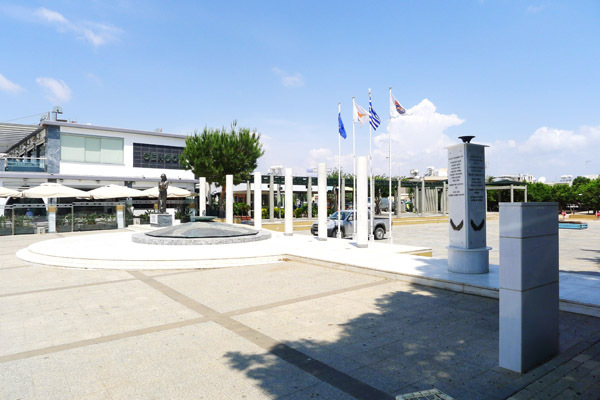 ~ Αρχείο Συμβουλευτικής Επιτροπής Μνημείων Υπουργείου Παιδείας & Πολιτισμού (Advisory Monuments’ Committee) 14.3.01/12, document May 25, 2006. This entry was posted in EOKA 1955-59 and tagged Ammochostos (Αμμόχωστος Famagusta), EOKA 1955-59, Evaggelou Charis (Ευαγγέλου Χάρης), Fotis Pittas (Φώτης Πίττας), Frenaros (Φρέναρος) on by admin. 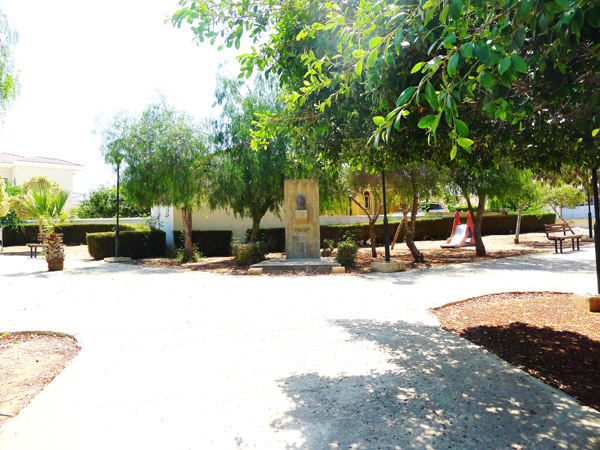 Location: Frenaros community center. Ammochostos district. 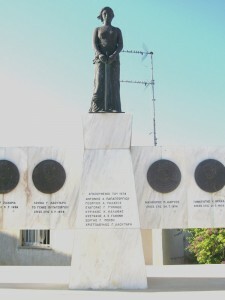 The memorial is dedicated to the dead fighters Dimitris A. Vrakas (Δημήτρης Α. Βρακάς) and Nikos K. Ttofi (Νίκος Κ. Ττοφή), and to the 1974 missing. ~ Κρατικό Αρχείο Κύπρου, Αρχείο Πολιτιστικών Υπηρεσιών ΥπουργείουΠαιδείας & Πολιτισμού (State Archive of Cyprus): 268/1968/13, document June 15, 1995. 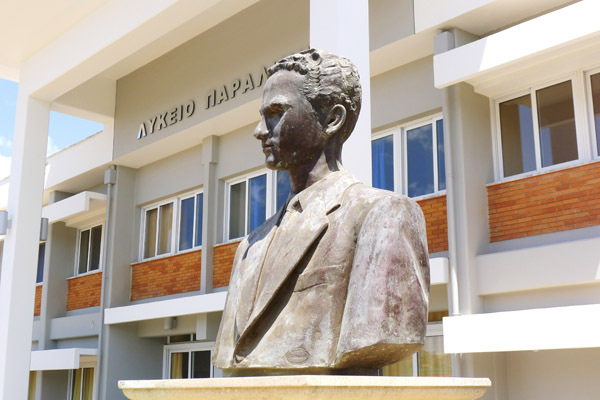 ~ Κρατικό Αρχείο Κύπρου, Αρχείο Πολιτιστικών Υπηρεσιών ΥπουργείουΠαιδείας & Πολιτισμού (State Archive of Cyprus): 268/1968/14, documents September 26, 1996; September 30, 1996; Meeting Minutes November 7, 1996. 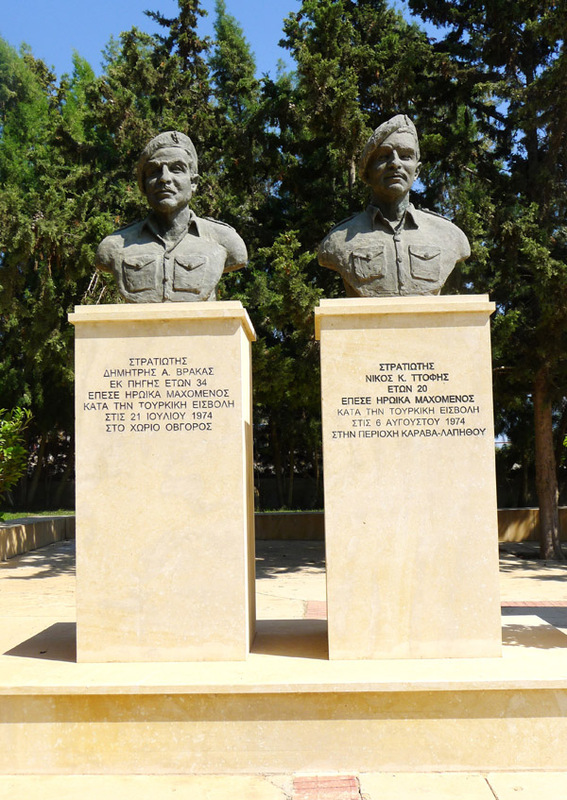 This entry was posted in Turkish Invasion and tagged Ammochostos (Αμμόχωστος Famagusta), Dimitris A Vrakas (Δημήτρης Α. Βρακάς), Frenaros (Φρέναρος), Nikos K. Ttofi (Νίκος Κ. Ττοφή) on by admin. 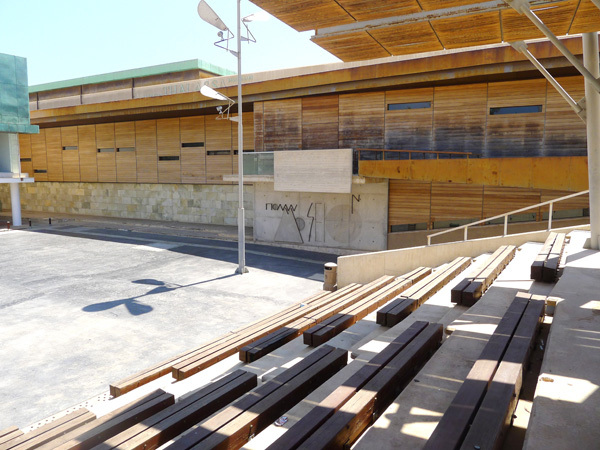 Location: Frenaros lyceum. Ammochostos district. 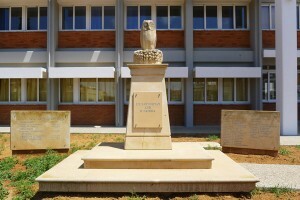 The memorial was commissioned by the Frenaros lyceum parents’ union and the Fotis Pittas’ Kokkinochoria lyceum school committee. It was funded mainly by SIMAE (Board of the Historical Memory of the EOKA Struggle 1955-59). 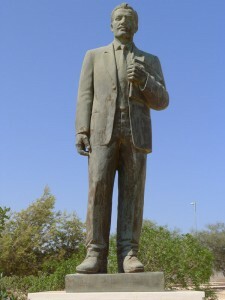 The statue was delivered in 2006 and the unveiling of the monument took place in 2007. ~ Ιστορικό Αρχείο ΣΙΜΑΕ (Historical Archive of the Board for the Historical Memory of the EOKA 1955-59 struggle), 17.94.7 vol. 7, documents December 22, 2005; January 23, 2006; May 25, 2006; June 20, 2006; Meeting Minutes January 12, 2006. 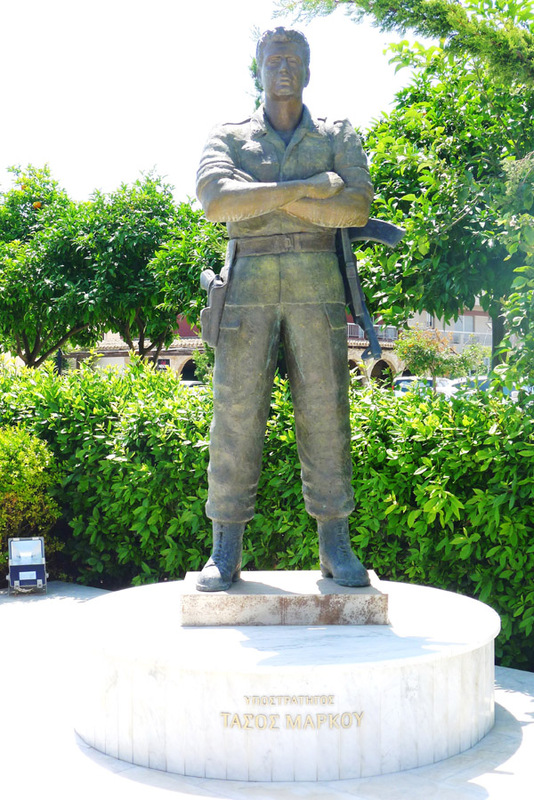 This entry was posted in EOKA 1955-59 and tagged Ammochostos (Αμμόχωστος Famagusta), EOKA 1955-59, Fotis Pittas (Φώτης Πίττας), Frenaros (Φρέναρος), Spanos Leonidas (Σπανός Λεωνίδας) on by admin. 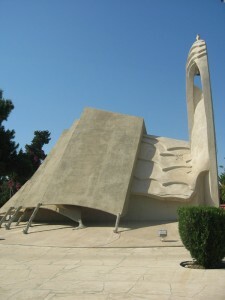 Location: Next to Archbishop Makarios III church, Avgorou. Ammochostos district. 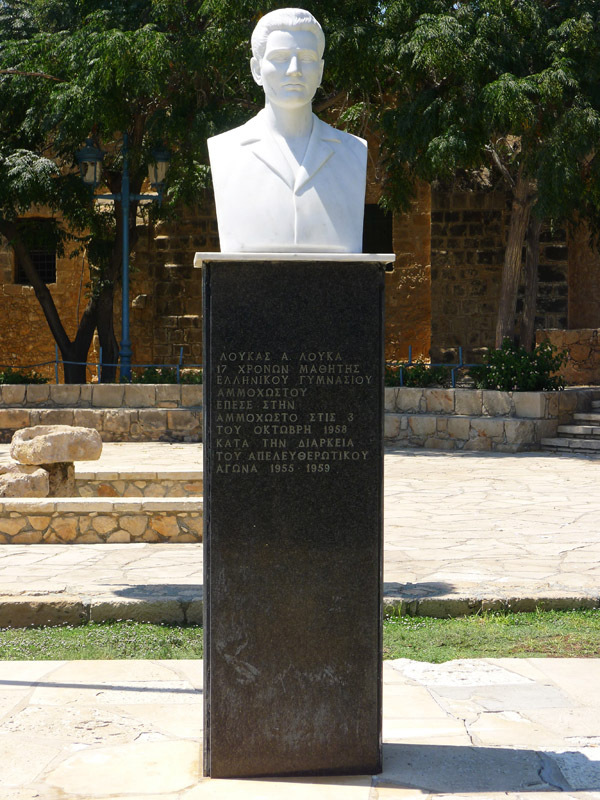 In 1979 a local committee submitted an application to the Ministry of Education explaining the need to commemorate Makarios III along with the eight Avgorou dead during the 1955-59 struggles and the Turkish invasion. The application indicated as the most suitable place for the memorial the area behind the church. 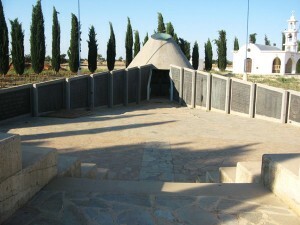 It also provided a rough aesthetic layout of the memorial. 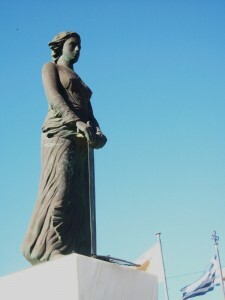 Seven years afterwards the monument was finished with the support of Avgorou Community and the Union of Avgorou expatriates in England. Although the current place of the memorial is the same as initially suggested, the final artwork followed a radically different aesthetic and structural layout. 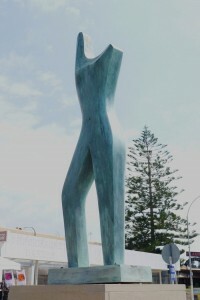 The unveiling took place on March 22nd 1986. ~ Ελευθερία (Eleftheria), December 16, 1962, p. 8. 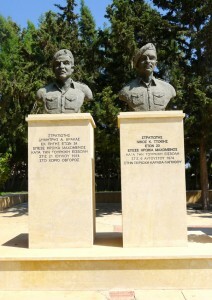 Παιδείας & Πολιτισμού (State Archive of Cyprus): 268-1968-2. 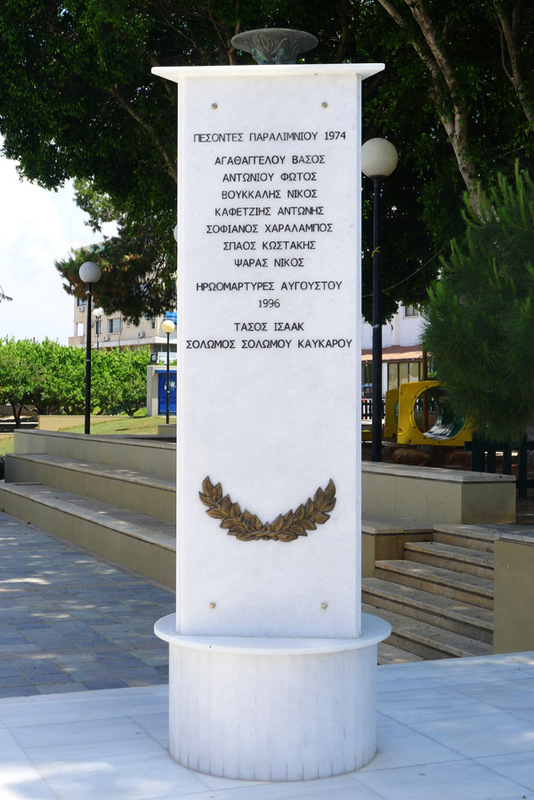 This entry was posted in EOKA 1955-59, Turkish Invasion and tagged Ammochostos (Αμμόχωστος Famagusta), Avgorou (Αυγόρου), EOKA 1955-59, Savides Andreas (Σαββίδης Ανδρέας) on by admin. 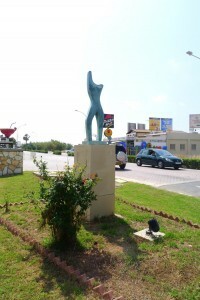 Location: On the Avgorou-Lioperiou road. Ammochostos district. 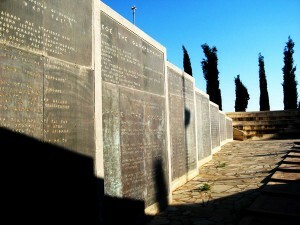 Dimensions: The memorial occupies an area of 14,500 m.sq. 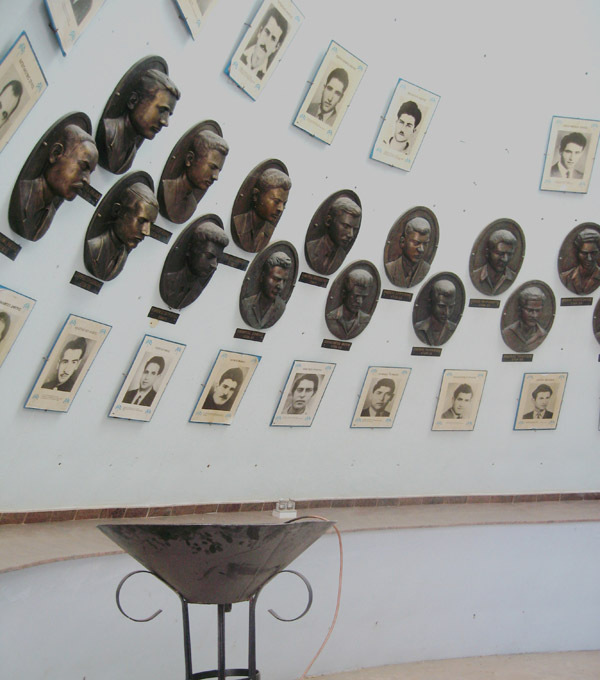 The wish to honour the Avgorou dead fighters goes back to 1962 when the first actions to gather the necessary funds took place. 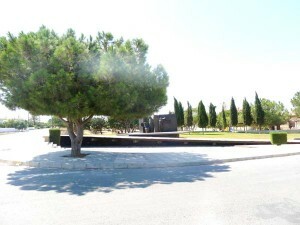 More than twenty years afterwards, in March 1985, the EOKA 1955-59 Avgorou members’ decision to construct a memorial materialized. 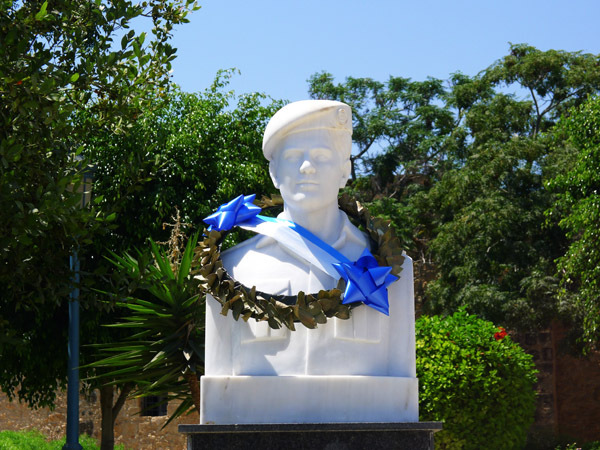 The intention of the initiative was to remind the origins, symbolize the main principles of the EOKA 1955-59 struggle, and commemorate Modestos Panteli, the first EOKA fighter who died on April 1st 1955. For that reason the area where the memorial is situated today was symbolically chosen, being the exact place of his death. The memorial honors the memory of all Avgorou and the nearby Liopetri village EOKA’s dead fighters and aspired to be the reference point for the whole of Cyprus during the annual commemorations on April 1st. 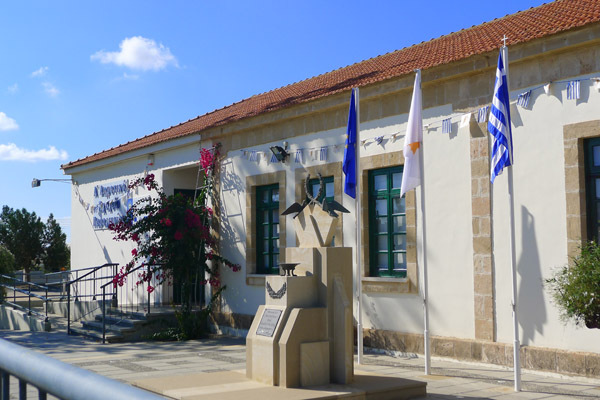 The funding of this extensive project was secured mainly by the EOKA 1955-59 members, and the Board for the Historical Memory of the EOKA 1955-59 Struggle (SIMAE). Other state and private entities also made contributions. 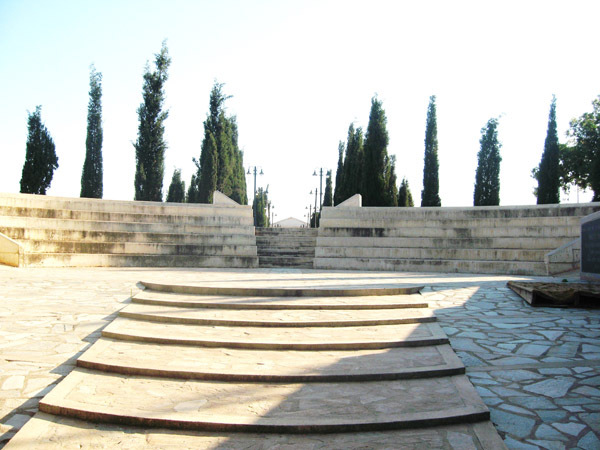 A procession path flanked with a row of cypress trees links the ancient Greek Corinthian style entrance with the Mycenaean-like tomb. 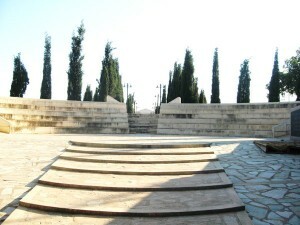 The path opens up to an ancient Greek theater construction. 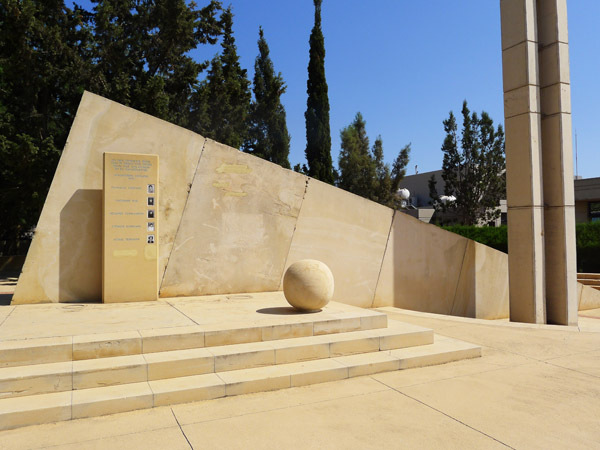 The distance between the theater’s semicircular auditorium and the tomb is flanked with dark stone panels where the names of the dead appear. 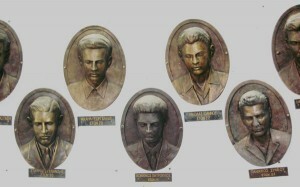 Inside the tomb, 26 portraits in relief were made by the three sculptors. Because of the limited budget, black and white photographs of the deceased substituted part of the total of 108 portraits initially planned to cover the walls. 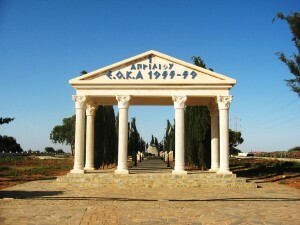 Following the ancient Greek tradition, where theaters were adjacent to temples and in particular to Dionysus temple in order to underline the origins and the higher purpose of the theater culture, at Avgorou village, the nearby chapel was erected to remind the close relation between religion and motherland in modern Cyprus. 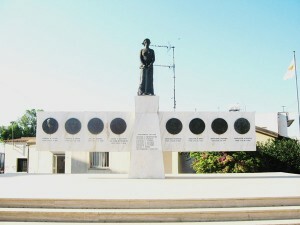 The unveiling of the monument took place on October 18th 2002. ~ Σημερινή (Simerini), March 13, 1985, p. 3. ~ Φιλελεύθερος (Fileleftheros), October 18, 2002, p. 20. 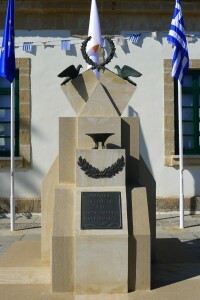 ~ Φιλελεύθερος (Fileleftheros), October 20, 2002, p. 32. ~ Κρατικό Αρχείο Κύπρου, Αρχείο Πολιτιστικών Υπηρεσιών Υπουργείου Παιδείας & Πολιτισμού (State Archive of Cyprus): 268/1968/2. ~ Κρατικό Αρχείο Κύπρου, Αρχείο Πολιτιστικών Υπηρεσιών Υπουργείου Παιδείας & Πολιτισμού (State Archive of Cyprus): 268/1968/12, Meetings Minutes, September 13, 1994; November 10, 1994. ~ Κρατικό Αρχείο Κύπρου, Αρχείο Πολιτιστικών Υπηρεσιών Υπουργείου Παιδείας & Πολιτισμού (State Archive of Cyprus): 268/1968/18, document December 2, 1998. 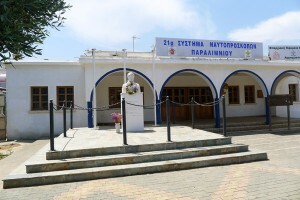 ~ Ιστορικό Αρχείο ΣΙΜΑΕ (Historical Archive of the Board for the Historical Memory of the EOKA 1955-59 struggle), 17.2009.10, Meeting Minutes April 26, 2002. 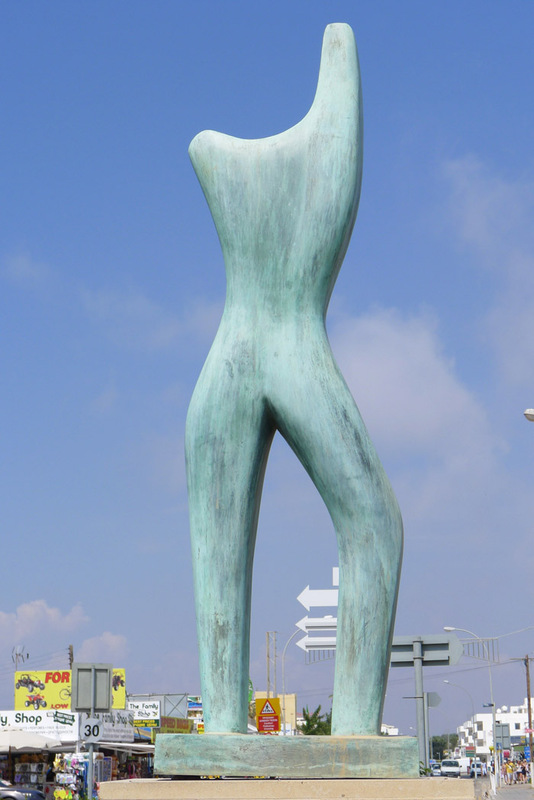 This entry was posted in EOKA 1955-59 and tagged Ammochostos (Αμμόχωστος Famagusta), Avgorou (Αυγόρου), Chrisimos Christos (Χρίσιμος Χρίστος), Chrysohou Naso (Χρυσοχού Νάσω), EOKA 1955-59, Ierides Phylactis (Ιερείδης Φυλακτής), Symeonidis Chrisimos Christos (Συμεωνίδης Χρίσιμος Χρίστος), Yiapanis Philippos (Γιαπάνης Φίλιππος) on by admin. 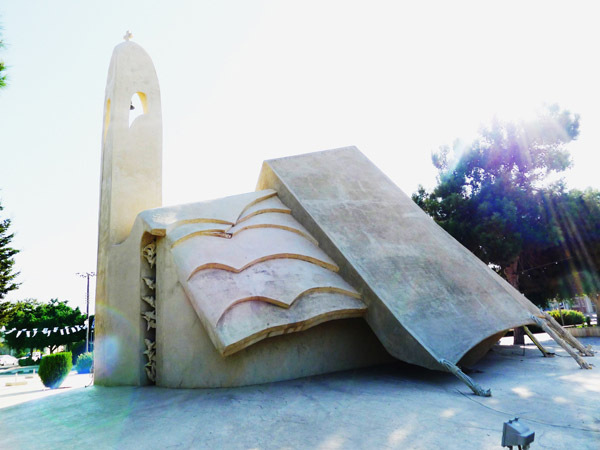 Location: Fotis Pittas elementary school, Achna. Ammochostos district. 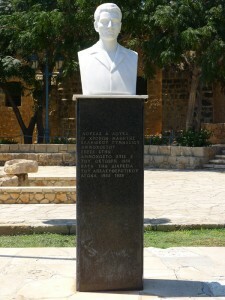 The bust was concluded in 2001 and the unveiling of the monument took place on May 18th 2001. 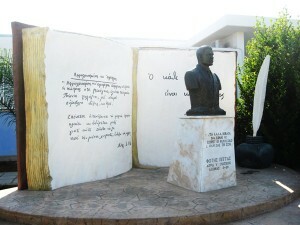 On the right-hand side page of the open notebook behind Pittas, is noted his phrase “Every fighter is a free person” (Ο κάθε αγωνιζόμενος είναι και ελεύθερος), while on the left-hand side page a poem-style short text of his is dedicated to the beauty and glory of Cyprus. This entry was posted in EOKA 1955-59 and tagged Achna (Άχνα), Ammochostos (Αμμόχωστος Famagusta), EOKA 1955-59, Evaggelou Charis (Ευαγγέλου Χάρης), Fotis Pittas (Φώτης Πίττας) on by admin. Location: Achna village square. Ammochostos district. 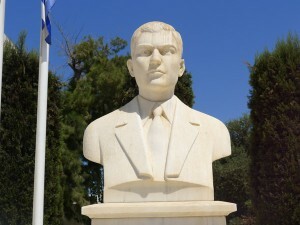 The construction of the monument was commissioned by the Private committee for Yiasoumis Theodosiou memorial, the nationalist Achna Union and the Cooperative Bank of Achna. The bust finished in 1999 and the unveiling of the monument took place in 2000. Although the Advisory Monuments’ Committee strongly suggested a different spot for the memorial within the village square – due to its close neighboring with the church-like cement tent – it failed to persuade both the private committee and the nationalist Achna Union. The main reason the committee and the union insisted was because they wished the monument to be placed in visual contact with the “Yiasoumis association” building. The final location was the choice of the Private committee for Yiasoumis Theodosiou memorial and the nationalist Achna Union. 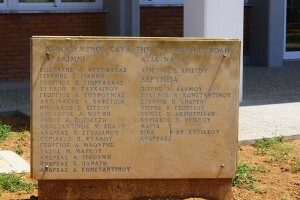 For accuracy reasons it is noted that on the official documents the family name of the hero is written as Chatzitheodosiou (Χ’’Θεοδοσίου) – where X’’ is an abbreviation of Chatzi – while on the pedestal the «Θεοδοσίου» (Theodosiou) version is used. 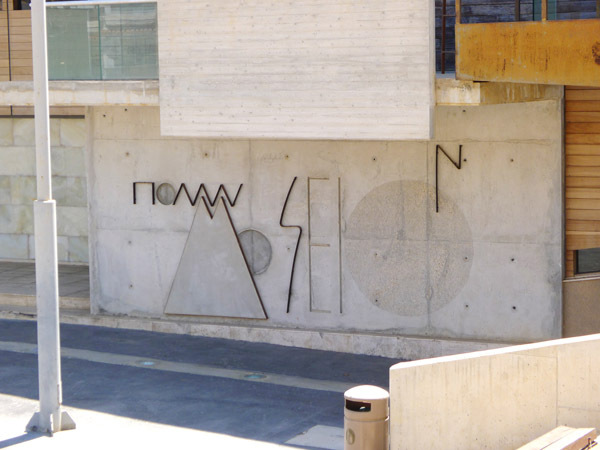 ~ Αρχείο Συμβουλευτικής Επιτροπής Μνημείων Υπουργείου Παιδείας & Πολιτισμού (Advisory Monuments’ Committee) 14.3.01/2, Meeting Minutes September 21, 2001. 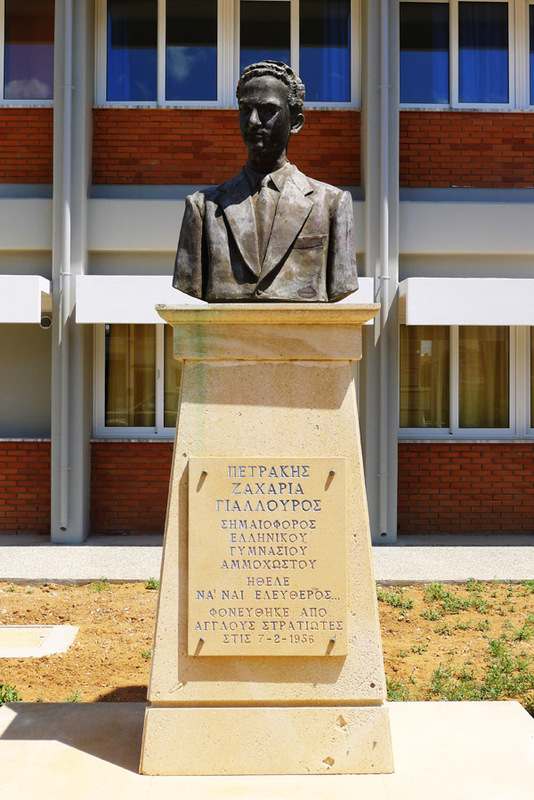 ~ Αρχείο Συμβουλευτικής Επιτροπής Μνημείων Υπουργείου Παιδείας & Πολιτισμού (Advisory Monuments’ Committee) 14.3.01/13, Meeting Minutes June 25, 2002. 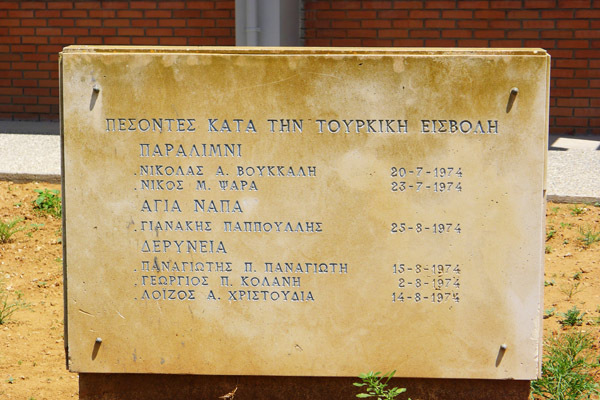 This entry was posted in EOKA 1955-59 and tagged Achna (Άχνα), Ammochostos (Αμμόχωστος Famagusta), EOKA 1955-59, Evaggelou Charis (Ευαγγέλου Χάρης), Yiasoumis Theodosiou (Γιασουμής Θεοδοσίου) on by admin. 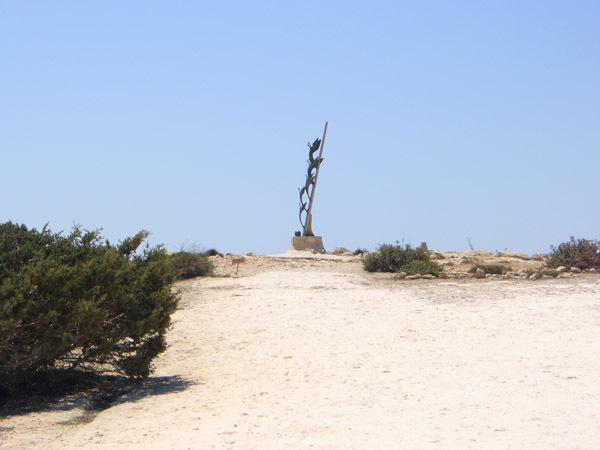 In 2001, the discussions for a monument dedicated to the refugees from Achna village was already ongoing between the Community’s Committee and the artist, Pampos Mihlis, who had submitted a proposal loaded with symbolisms. The monument, in the form of a church-like tent, was built within the main square of the new village, at the same spot where the refugees of the nearby Achna village camped in 1974 after the Turkish invasion of the village. 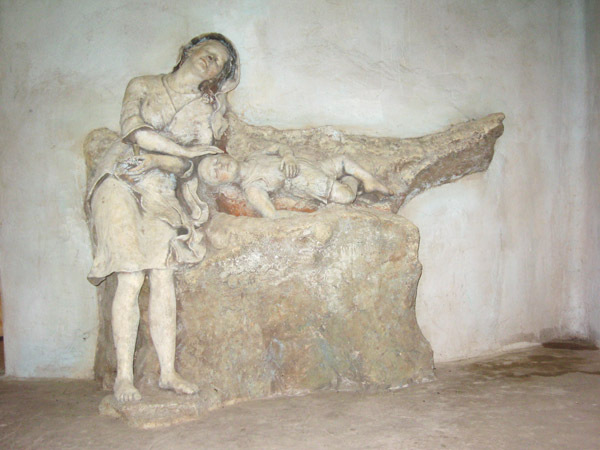 According to Pampos Mihlis, the birds symbolize hope for freedom and the regaining of human values; the sleeping child is an allegory of the unknown future; and the photographs in the women’s hands underline the virtue of Memory. 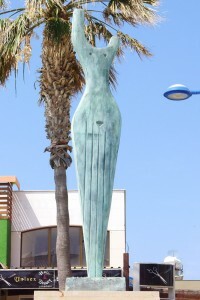 Although the initial artistic proposal seems to have undergone a series of changes, the main idea and the aforementioned symbolisms were maintained. 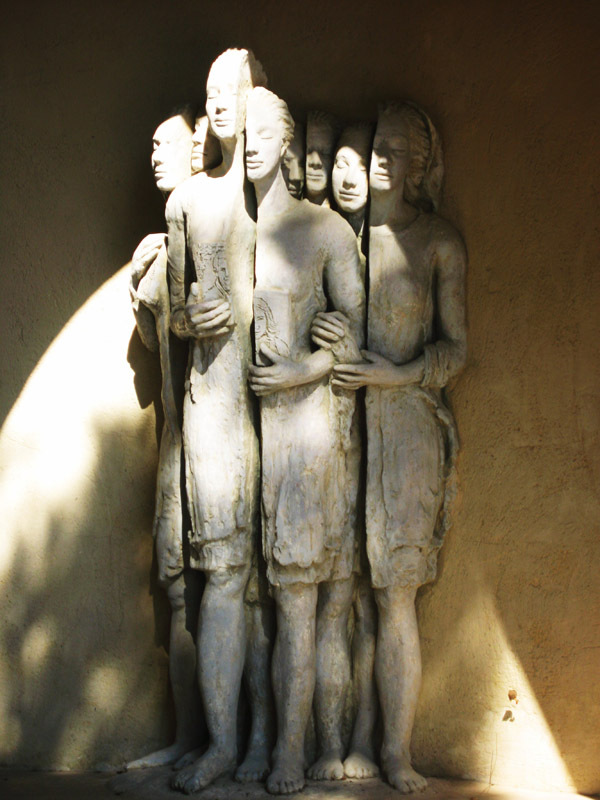 In the entrance the female figures are depicted as fragmented, spectral shapes that give an impression of dead souls. Their rather abstract representations contrast with the realistic depictions of the two women sharing their anguish, exhaustion and despair inside the chapel. These mothers bear strong visual affinities with the black and white photographs that became familiar through international press, documenting the Cypriot refugees after the 1974 invasion. 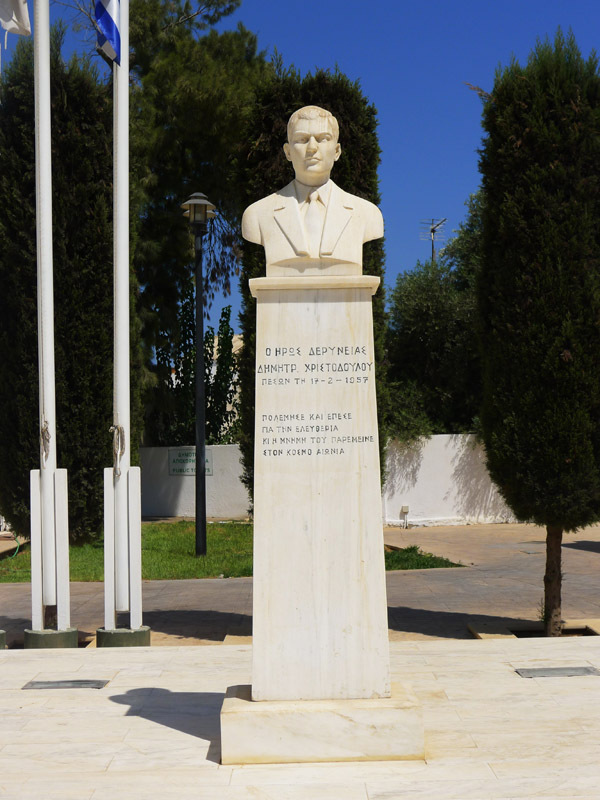 ~ Αρχείο Συμβουλευτικής Επιτροπής Μνημείων Υπουργείου Παιδείας & Πολιτισμού (Advisory Monuments’ Committee), 14.3.01-2, document September 21, 2001. 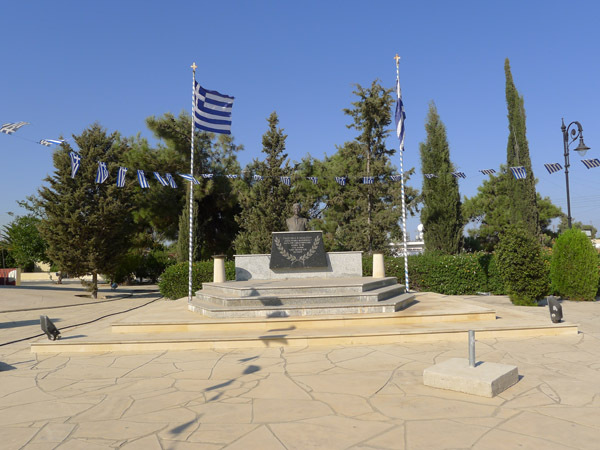 ~ Αρχείο Συμβουλευτικής Επιτροπής Μνημείων Υπουργείου Παιδείας & Πολιτισμού (Advisory Monuments’ Committee), 14.3.01-4, document June 25, 2002. ~ Αρχείο Συμβουλευτικής Επιτροπής Μνημείων Υπουργείου Παιδείας & Πολιτισμού (Advisory Monuments’ Committee), 14.3.01-13, document September 20, 2001. This entry was posted in Turkish Invasion and tagged Achna (Άχνα), Ammochostos (Αμμόχωστος Famagusta), Michlis Pambos (Μίχλης Πάμπος) on by admin. 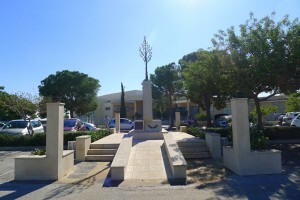 Location: Paralimni lyceum. Ammochostos district. The bust was commissioned by the Karpasia Coordinating Committee, the Corporation “Free United Karpasia”, the Rizokarpaso folk association, the Corporation “The Rizokarpason”, and the “Karpasia” Juniors’ Athletic Union of Rizokarpaso. 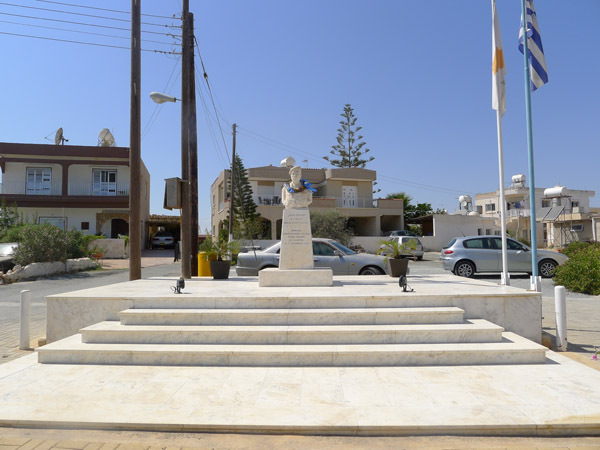 It was funded by Ammochostos’ and Paralimni Lions’ clubs. 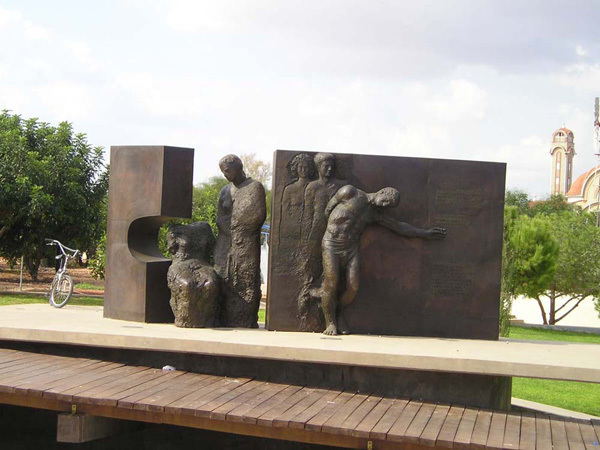 The unveiling of the monument took place on March 7th 1999. On the pedestal, the inscription notes: “Petrakis Zaharia Yallouros [..] wanted to live in freedom. 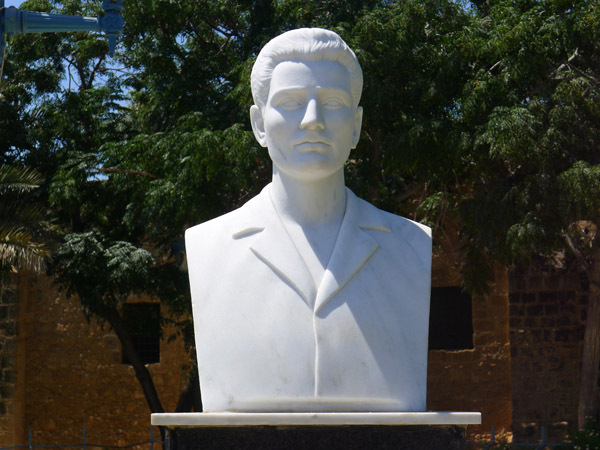 He was killed by British soldiers on February 7th 1956”. This entry was posted in EOKA 1955-59 and tagged Ammochostos (Αμμόχωστος Famagusta), EOKA 1955-59, Paralimni (Παραλίμνι), Petrakis Yallouros (Πετράκης Γιάλλουρος), Theodoulou Theodoulos (Θεοδούλου Θεόδουλος) on by admin. Location: 21st Paralimni Marine Scouts Association premises. Ammochostos district. 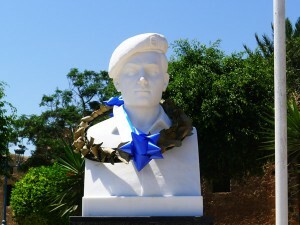 The construction of the bust was commissioned by the 21st Paralimni Marine Scouts Association. 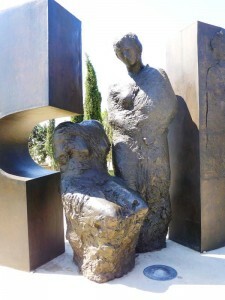 The unveiling of the monument took place in 1995. 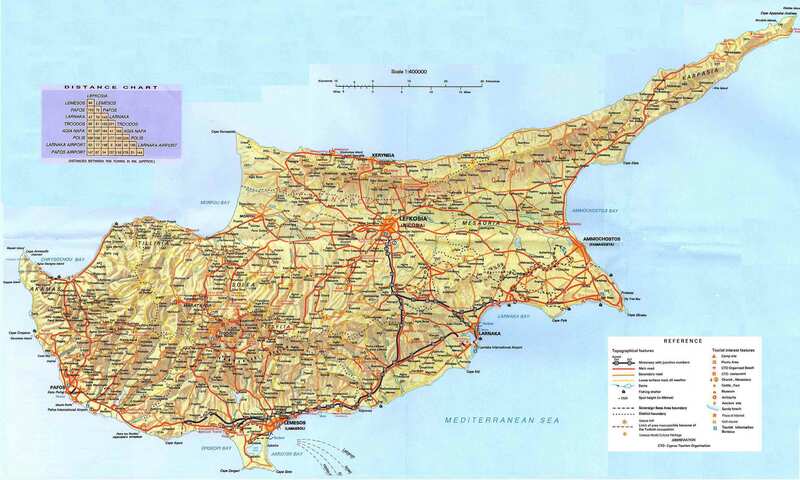 This entry was posted in Turkish Invasion and tagged Ammochostos (Αμμόχωστος Famagusta), Nikos M. Psaras (Νίκος Μ. Ψαρράς), Paralimni (Παραλίμνι), Spanos Leonidas (Σπανός Λεωνίδας) on by admin. 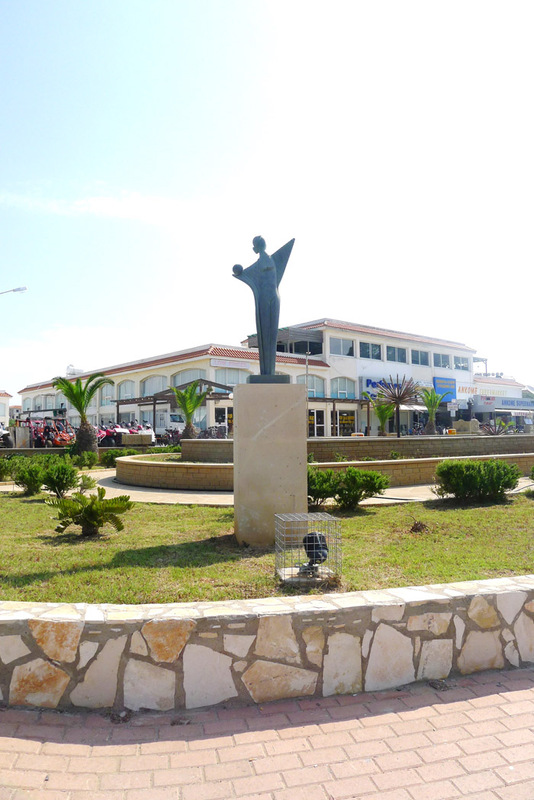 Location: Paralimni Square. Ammochostos district. 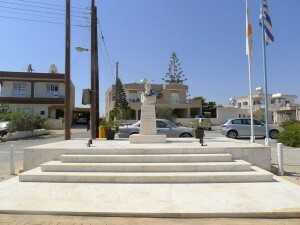 The monument was commissioned by the Paralimni Municipality. 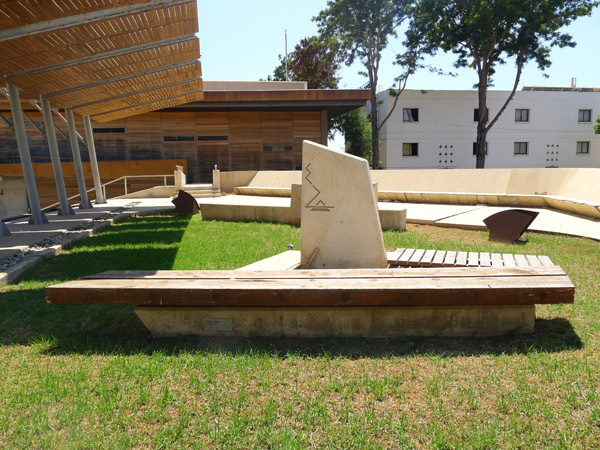 It was delivered in 2011 and was situated in Agios Georgios Park, creating a unified whole with the preexisting – since 2003 – dead and missing heroes’ memorial. 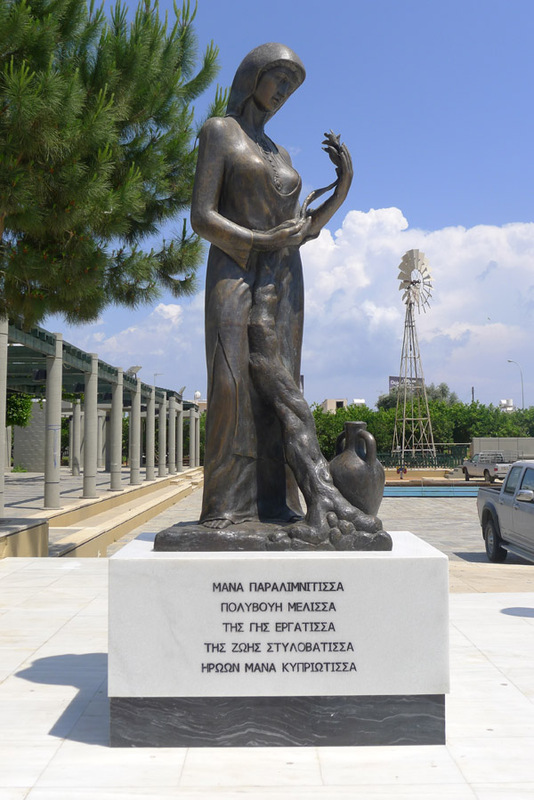 A statement on the low pedestal underscores Cypriot women’s predominant duties and identity: She is “a busy bee, a field worker, a life pillar and mother of the Cypriot heroes” (Πολύβουη μέλισσα, της γης εργάτισσα, της ζωής στυλοβάτισσα, ηρώων μάνα Κυπριώτισσα). 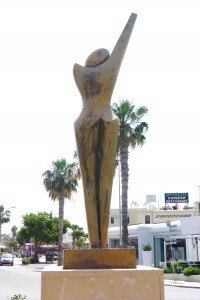 This entry was posted in Cypriot Women and tagged Ammochostos (Αμμόχωστος Famagusta), Chrisimos Christos (Χρίσιμος Χρίστος), Cypriot women, Paralimni (Παραλίμνι), Symeonidis Chrisimos Christos (Συμεωνίδης Χρίσιμος Χρίστος) on by admin. Location: Paralimni Agios Dimitrios church. Ammochostos district. 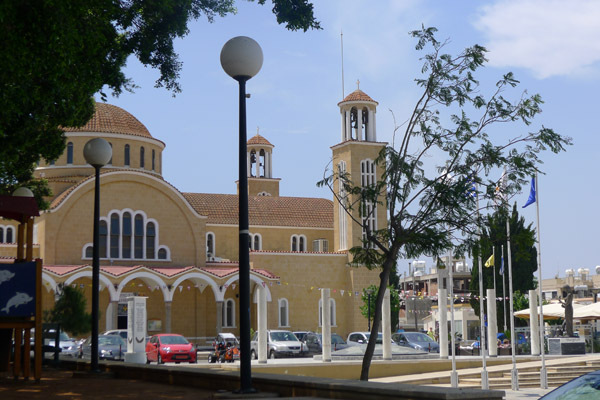 The construction of the monument followed a decision of Agios Dimitrios church Committee. It is dedicated to the dead and the listed as missing of Paralimni. 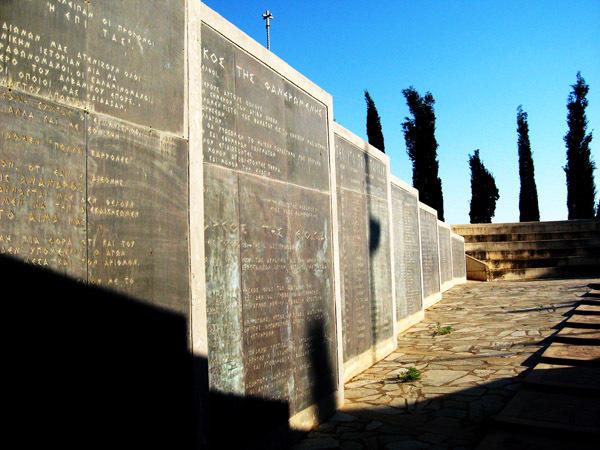 According to the nearby marble inscription, they sacrificed their lives “longing for their motherland’s freedom and peace”. 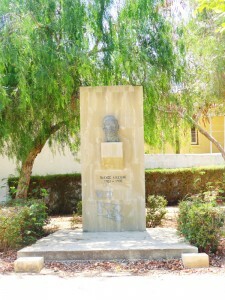 The memorial was delivered in 2007. 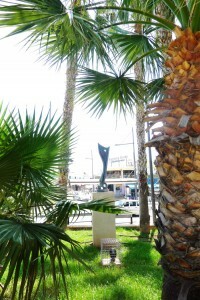 This entry was posted in Turkish Invasion and tagged Ammochostos (Αμμόχωστος Famagusta), Askotis Chr. (Ασκώτης Χρ. 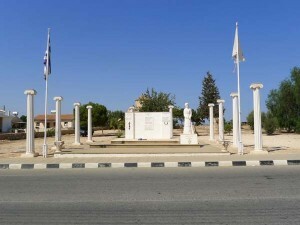 ), Paralimni (Παραλίμνι), Seryiou L. ( Σεργίου Λ. ), turkish on by admin. Location: Paralimni Agios Georgios Park. Ammochostos district. 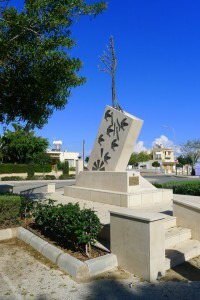 The monument was commissioned by the Paralimni Municipality. It is dedicated to the dead of EOKA 1955-1959 struggles, to the dead and missing of the Turkish invasion and to two more locals who were shot dead in August 1996. 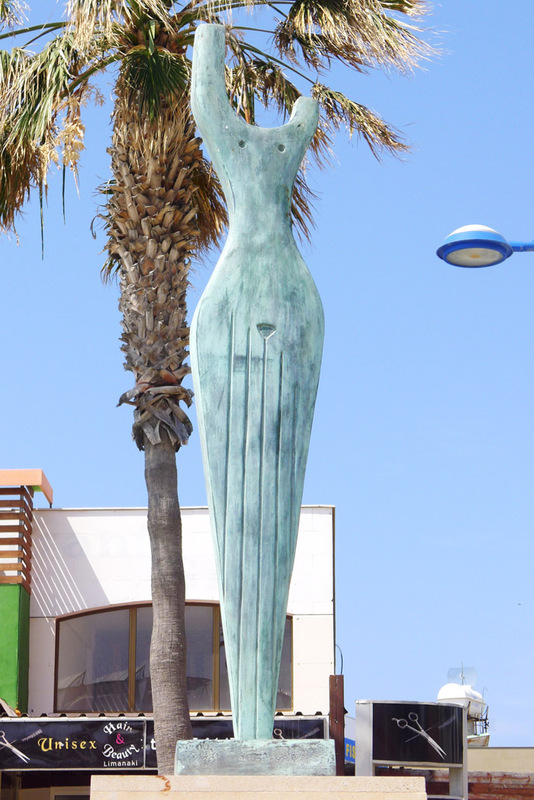 It was delivered in 2002 and the unveiling took place on October 12th 2003. 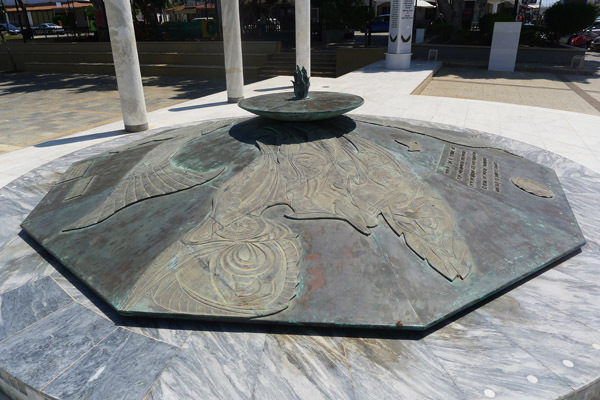 On the brass lid of the well the poet Kyriakos Charalambidis wrote: “What you look at, stranger, is a memorial to the Paralimni dead who sacrificed their lives in order to feed their souls and irrigate love for their motherland, which offers in return resurrection as a gift” (Αυτό που βλέπεις το πηγάδι, ξένε των Παραλιμνιωτών είναι μνημείο που πρόσφεραν ζωή, ψυχή ν’ αρδέψουν κι έρωτα γης πατρώας, π’ αντιχαρίζει ανάσταση ως βάφει το γαλάζιο). This entry was posted in EOKA 1955-59, National Guard, Turkish Invasion and tagged Ammochostos (Αμμόχωστος Famagusta), EOKA 1955-59, Kalakallas Giorgos (Καλακαλλάς Γιώργος), National Guard, Paralimni (Παραλίμνι) on by admin. Seryis Seryiou was a teacher at Paralimni lyceum and a self-taught sculptor. 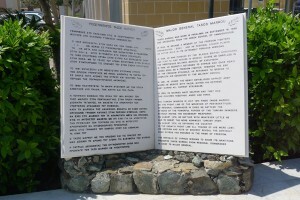 The decision for the monument was taken by the school’s board. 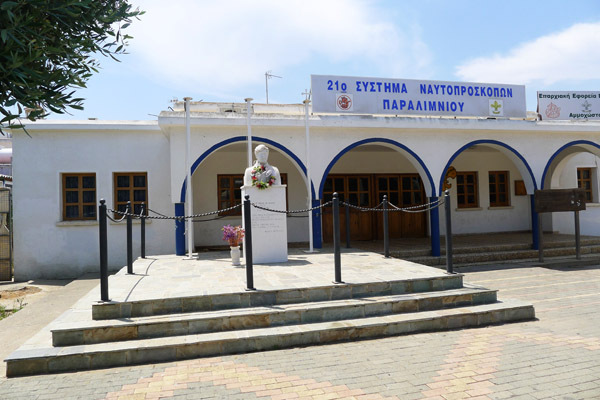 The necessary funds were raised among the “Friends of the Paralimni schools”, the Cooperative Bank of Paralimni and the Cypriot police force. 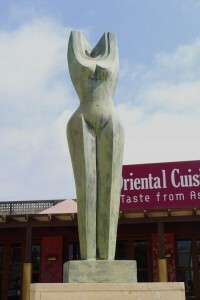 The unveiling took place in 1999. This entry was posted in Turkish Invasion and tagged Ammochostos (Αμμόχωστος Famagusta), Paralimni (Παραλίμνι), Seryiou Seryis (Σεργίου Σέργης) on by admin. 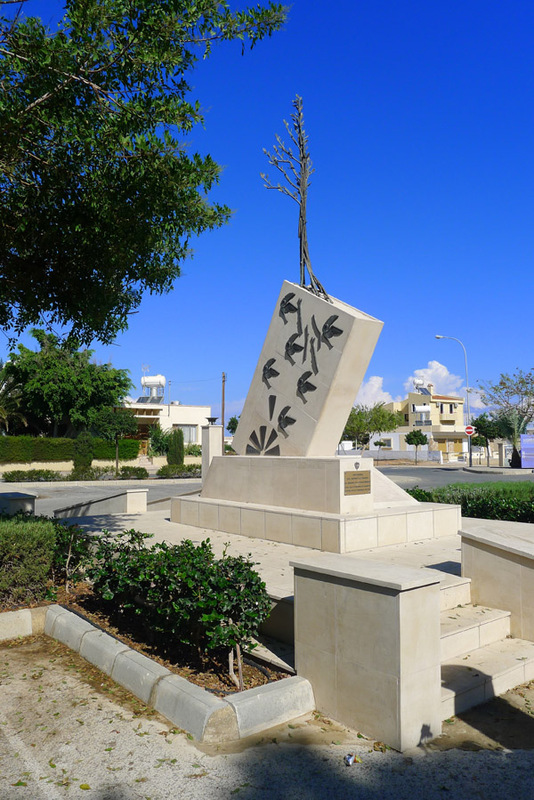 The memorial was commissioned by the Paralimni Municipality. 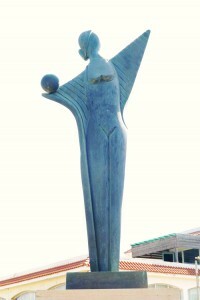 The unveiling took place on December 7th 2008. 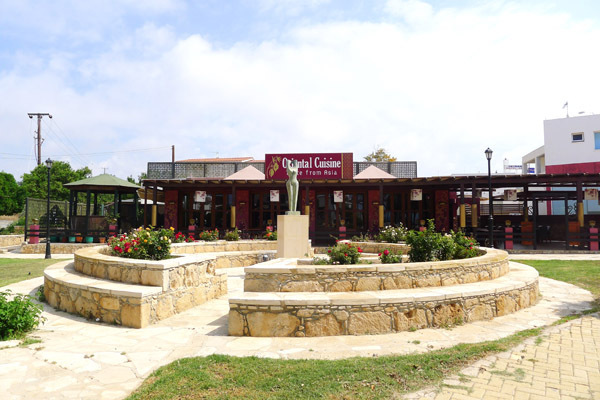 This entry was posted in Turkish Invasion and tagged Ammochostos (Αμμόχωστος Famagusta), Kotziamanis Nikolaos Chr. (Κοτζιαμάνης Νικόλαος Χρ. ), Major General Tasos Markou (Τάσος Μάρκου), Paralimni (Παραλίμνι) on by admin. Location: Pavlos Liasidis park, Deryneia. Ammochostos district. 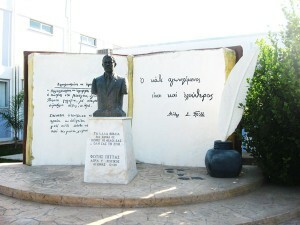 Pavlos Liasidis was a poet. 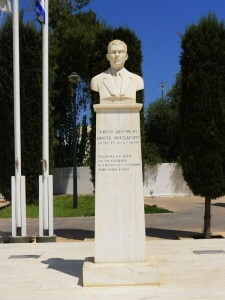 The commission of the bust was an initiative of AKEL (Progressive Party of Working People). The unveiling of the monument took place on May 10th 1995, ten years after the poet’s death. 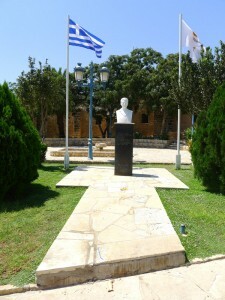 In addition to the bust, a dedicatory plaque was placed at the entrance of the house where Liasidis lived the last years of his life. 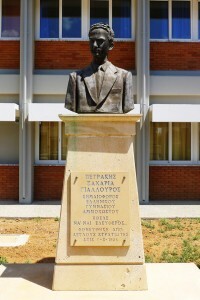 ~ Φιλελεύθερος (Fileleftheros), April 19, 1995, p. 19. This entry was posted in Public Figures and tagged Ammochostos (Αμμόχωστος Famagusta), Deryneia (Δερύνεια), Pavlos Liasidis (Παύλος Λιασίδης) on by admin. Location: Central square, Deryneia. Ammochostos district. 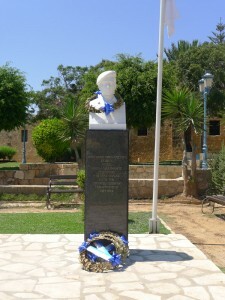 The unveiling of the monument took place on June 12th 1966. In December 2001, Deryneia Municipality authorities decided to reposition the location of the bust within the square, in an effort to harmonise its presence with the rest of the surrounding buildings. That action caused intense complains from the deceased’s family and the local nationalistic union. 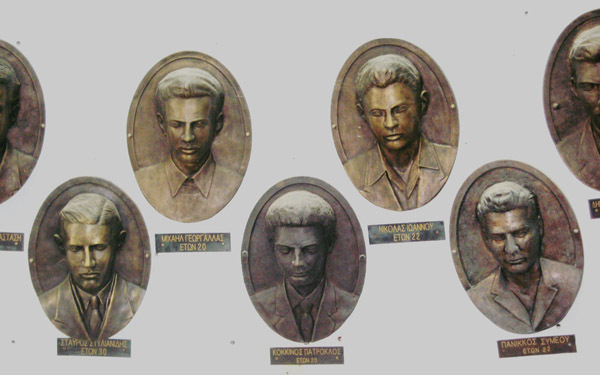 The solution they proposed was dictated by the rational that busts and monuments in general hold a crucial role in collective memory and should be treated accordingly. ~ Ιστορικό Αρχείο ΣΙΜΑΕ (Historical Archive of the Board for the Historical Memory of the EOKA 1955-59 struggle), 17.94.7 vol. 7, document January 29, 2002. 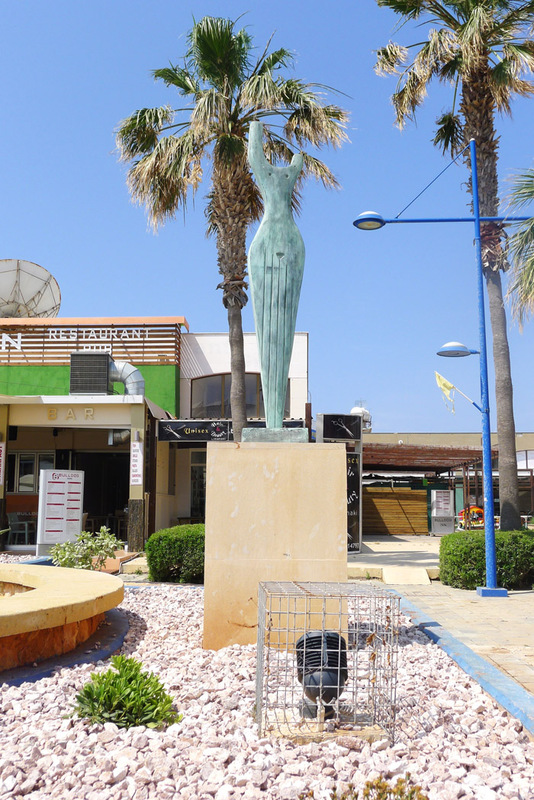 This entry was posted in EOKA 1955-59 and tagged Ammochostos (Αμμόχωστος Famagusta), Deryneia (Δερύνεια), Dimitrakis Christodoulou (Δημητράκης Χριστοδούλου), EOKA 1955-59 on by admin. 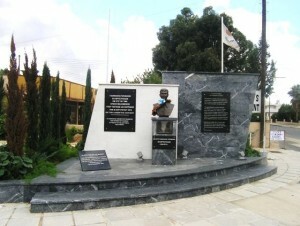 Location: Deryneia municipality Park, Heroes Street. Ammochostos district. 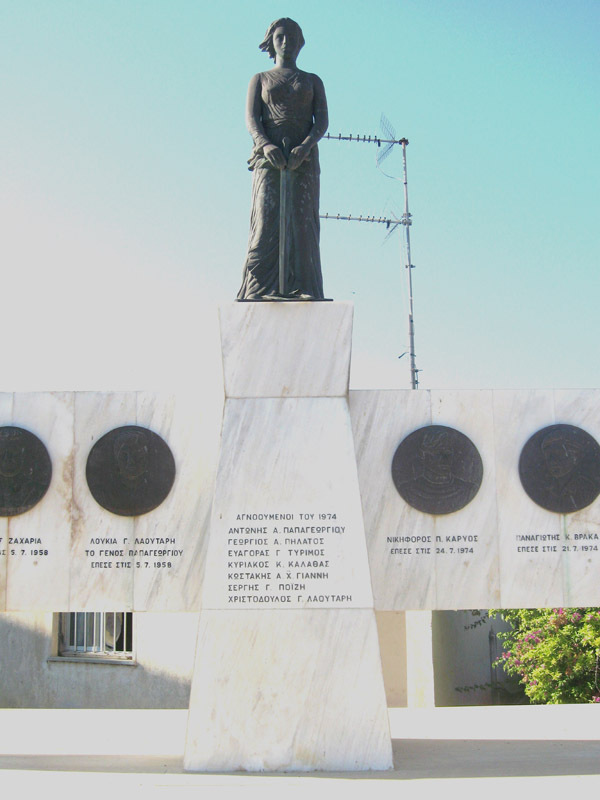 On September 30th 1999 Deryneia Municipality decided to run an art competition with a view to create a memorial to Deryneia dead and missing. According to the call: “The artwork should visualize the heroic concepts and the sacrifice of the dead. At the same time it should remind us of the missing and underline the hope of their return”. 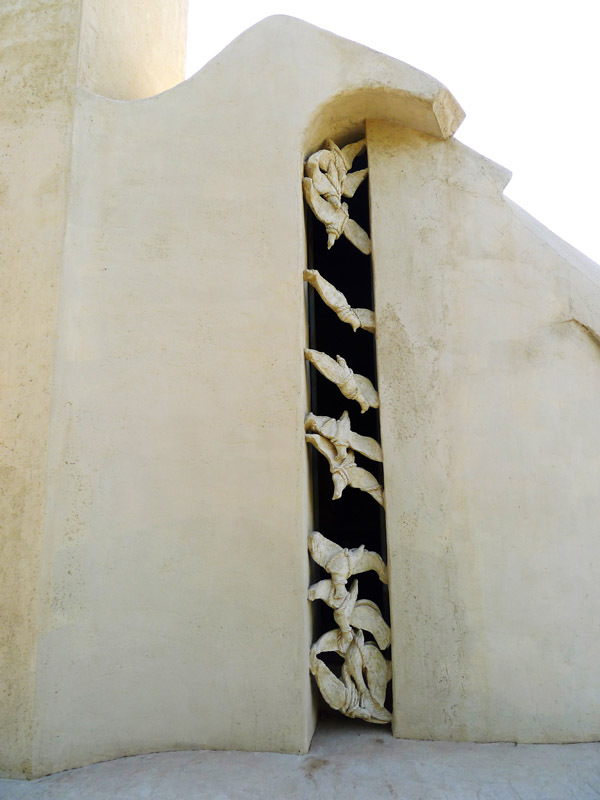 “On the left-hand side of the composition there is a hint to our longstanding culture and a wailing for its constant mutilation and desecration. The ‘falling dead’ […] is framed by the missing in low relief. They experience the tragedy of this land, wailing and awaiting a solution. 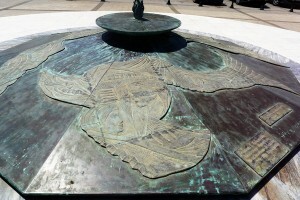 The dead man’s extended left hand is pointing to Ammochostos. He calls us to continue our claim for a free land. He asks the return of the towns where we grew and the relegation of our personal and historical puzzle. On the back side of the brass wall a tree is growing. It is the “do not forget” tree with its deep roots. 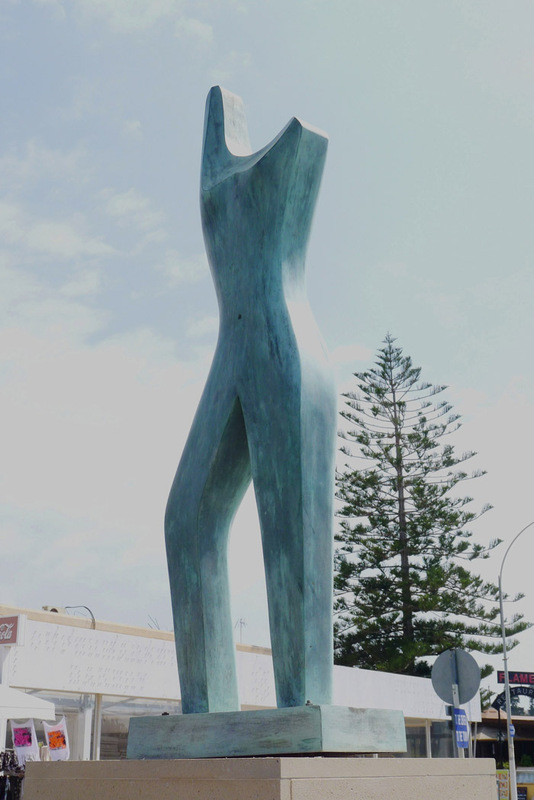 It is the tree of human rights, self-determination and cultural growth”. The selection panel called a gathering of all Deryneia citizens in May 2000 in order to present all the submitted artistic proposals, along with the winning one. In October 2000, as is apparent from the correspondence between the two artists and the Municipality’s selection panel, there were differing views on the aesthetic formation of the monument’s concepts. These differences were ignited when members of the panel visited the artists’ workshop to supervise the development of the work. The comments, on behalf of the panel members, focused on the lack of the necessary feeling of sadness the end result should exude. They underlined the lack of emotion of the standing woman towards the seated female headless figure, the personification of Greek culture. Attention was stressed on the features of all figures which should preserve a distinct level of abstractness in their depiction. The relationship between the falling man and the low relief figures of the missing behind him was another point that caused skepticism: their form had to permit the bridging of past and future, maintaining a symbolic link between the missing and the main male figure. For the same reasons the tree at the rear of the monument had to spread all over the wall’s surface. 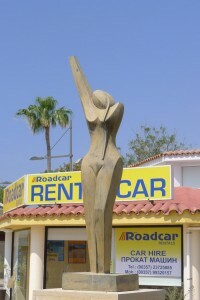 The final version of the monument met midway the Municipality’s selection panel requirements and the artistic views. 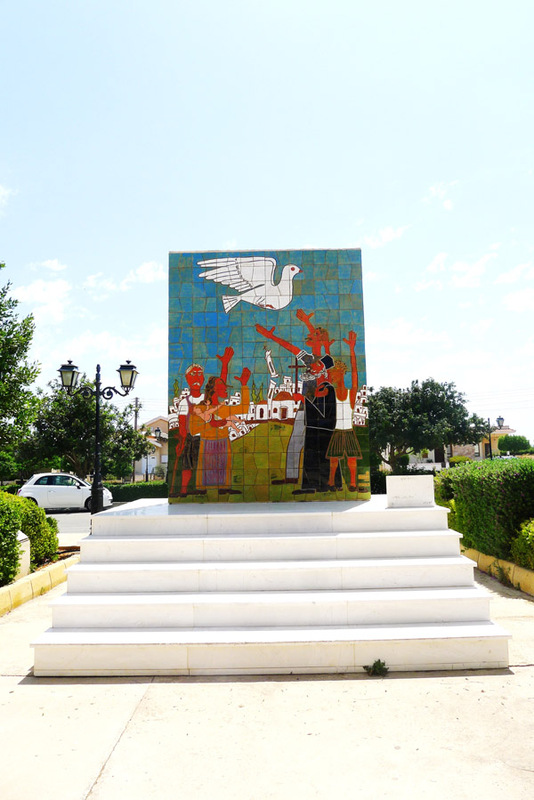 The unveiling took place on July 22nd 2001, symbolically coinciding with the commemoration of the Turkish invasion. 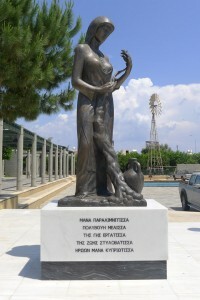 ~ Φιλελεύθερος (Fileleftheros), April 29, 2000, p. 4. 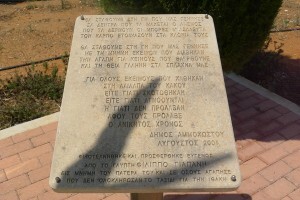 ~ Φιλελεύθερος (Fileleftheros), June 2, 2001, p. 22. ~ Κρατικό Αρχείο Κύπρου, Αρχείο Πολιτιστικών Υπηρεσιών Υπουργείου Παιδείας & Πολιτισμού (State Archive of Cyprus): 268/1968/17, Meeting Minutes June 11, 1998. ~ Κρατικό Αρχείο Κύπρου, Αρχείο Πολιτιστικών Υπηρεσιών Υπουργείου Παιδείας & Πολιτισμού (State Archive of Cyprus): 268/1968/18. ~ Κρατικό Αρχείο Κύπρου, Αρχείο Πολιτιστικών Υπηρεσιών Υπουργείου Παιδείας & Πολιτισμού (State Archive of Cyprus): 268/1968/19, Meetings Minutes September 30, 1999; October 12, 1999. ~ Κρατικό Αρχείο Κύπρου, Αρχείο Πολιτιστικών Υπηρεσιών Υπουργείου Παιδείας & Πολιτισμού (State Archive of Cyprus): 268/1968/21. ~ Κρατικό Αρχείο Κύπρου, Αρχείο Πολιτιστικών Υπηρεσιών Υπουργείου Παιδείας & Πολιτισμού (State Archive of Cyprus): 268/1968/22, Meetings Minutes October 30, 2000; January 18, 2001. 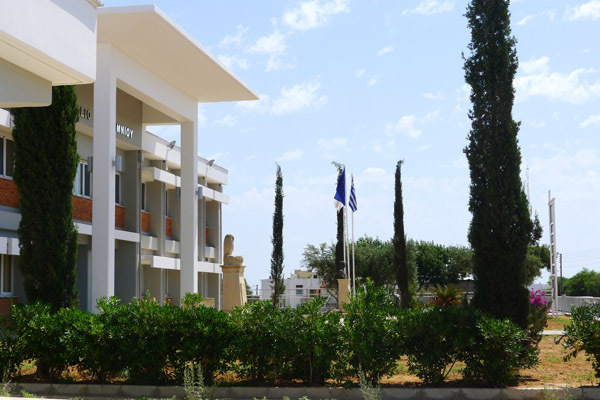 ~ Αρχείο Συμβουλευτικής Επιτροπής Μνημείων Υπουργείου Παιδείας & Πολιτισμού (Advisory Monuments’ Committee) 14.3.01/5, document May 24, 2001. 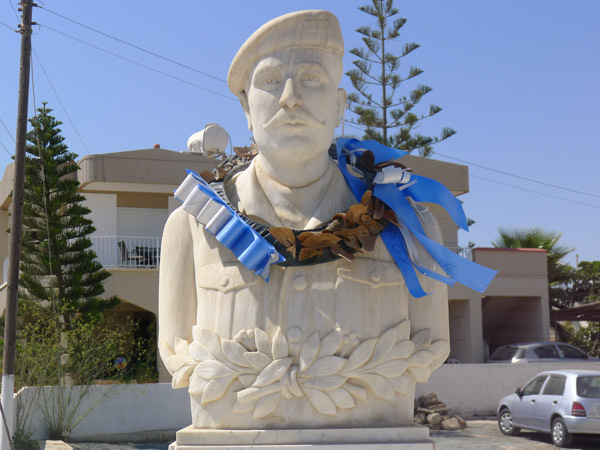 This entry was posted in Turkish Invasion and tagged Ammochostos (Αμμόχωστος Famagusta), Andros Ropalis (Άντρος Ρόπαλης), Bartzili Maro (Μπαρτζίλη Μάρω), Deryneia (Δερύνεια), Thymios Panourias (Θύμιος Πανουριάς) on by admin. Location: Ammochostos Cultural Center, Deryneia. Ammochostos district. The artwork was offered to Deryneia Municipality by the sculptor himself. 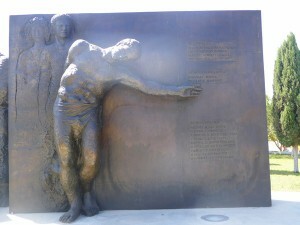 According to the dedicatory plaque situated in front of the artwork: “It was executed and offered from the sculptor Phillipos Yiapanis as a commemoration to his father and to all those who he loved and those who did not manage to reach their Ithaca”. 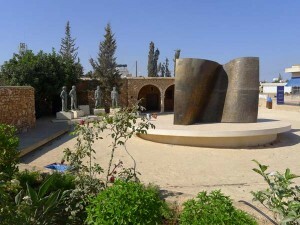 The unveiling of the monument took place in 2004. “We will stand on this land where we were born, like windswept trees; like trees wiped by thunderstorms cherishing the fruit in gestation. 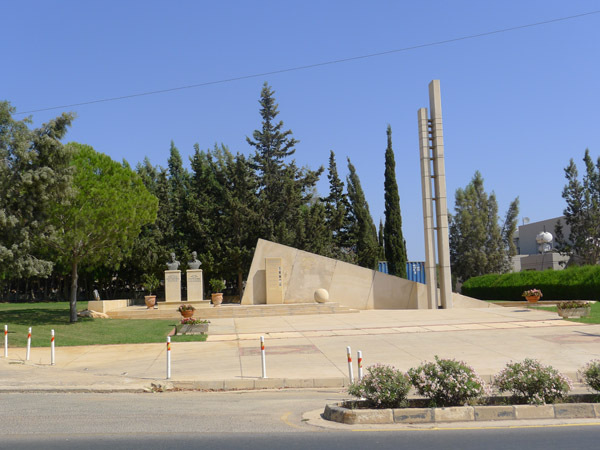 We will stand on this land where we were born, keeping alive the memory of our ancestors; with love for our descendants; and a blissful serenity inside us.Dedicated to all those who lost their lives during the whirlwind of evil, either because they were killed, or because they are missing. Or because they did not make it in time”. 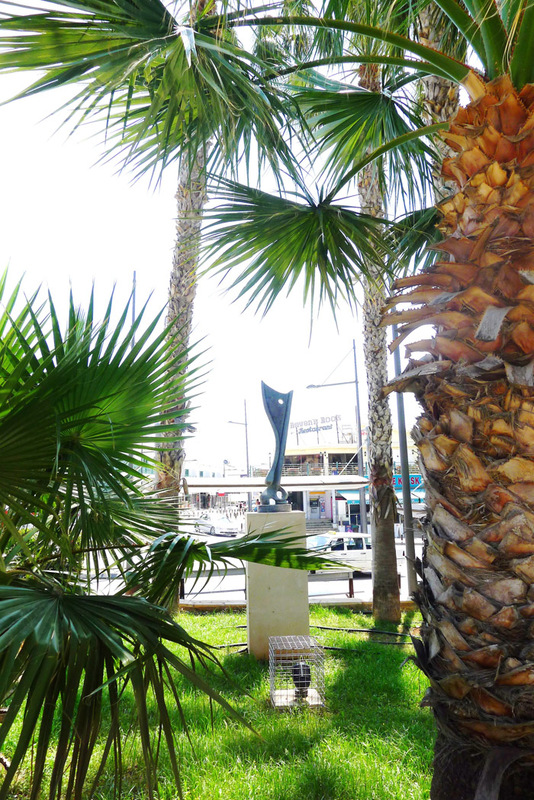 This entry was posted in Turkish Invasion and tagged Ammochostos (Αμμόχωστος Famagusta), Deryneia (Δερύνεια), Yiapanis Philippos (Γιαπάνης Φίλιππος) on by admin. 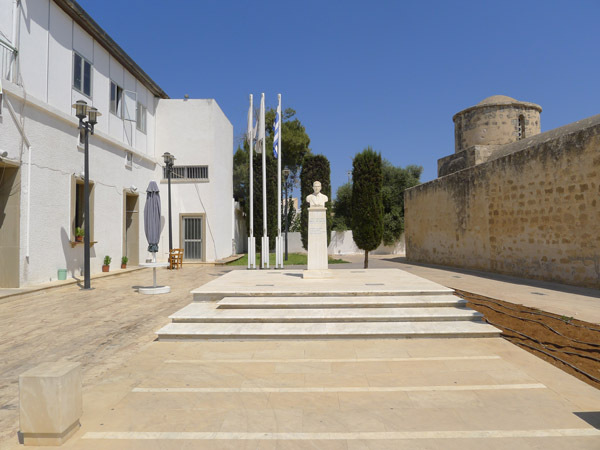 Location: Museum of Maritime Life, Agia Napa. Ammochostos district. 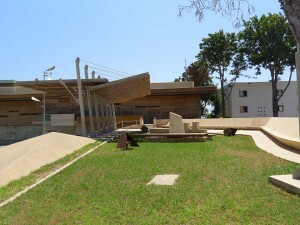 The museum has been created in collaboration with Pierides Foundation. 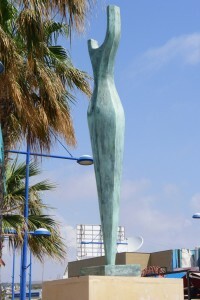 This entry was posted in Modern sculpture and tagged Agia Napa (Αγία Νάπα), Ammochostos (Αμμόχωστος Famagusta), Modern Sculpture, Sierepeklis Zinon (Σιερεπεκλής Ζήνων) on by admin. 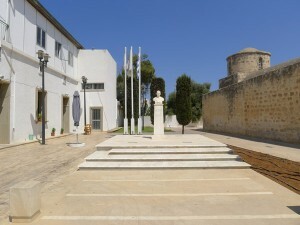 Location: Medieval monastery square, Agia Napa. Ammochostos district. 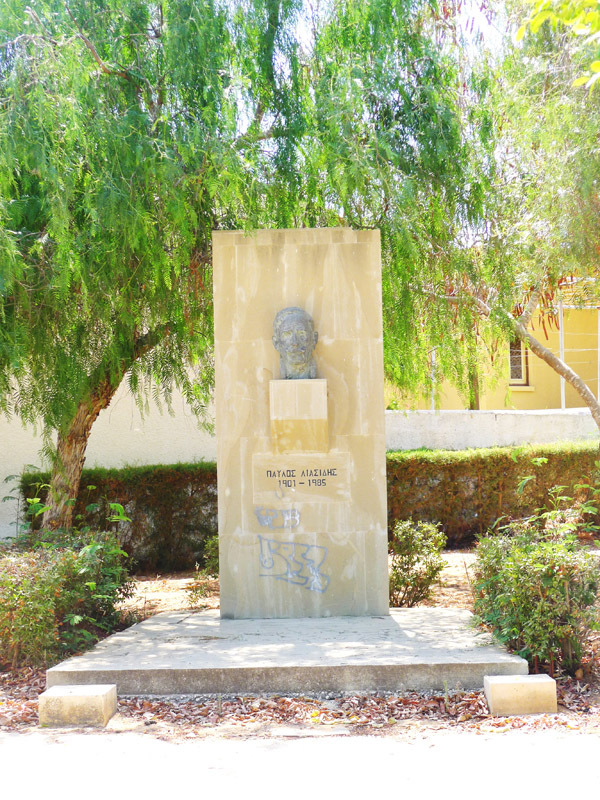 The commission of the bust was assigned to the sculptor by the Agia Napa Municipality. 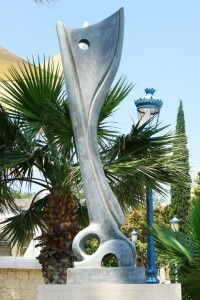 It was concluded in 2011 and the unveiling took place on July 24 of the same year. This entry was posted in Turkish Invasion and tagged Agia Napa (Αγία Νάπα), Ammochostos (Αμμόχωστος Famagusta), Christakis Pieri Christou (Χριστάκης Πιερή Χρίστου), Spanos Leonidas (Σπανός Λεωνίδας) on by admin. The first meeting of the private committee for Loukas Louka’s monument with the Ammochostos’ prefect authorities took place in 1967. 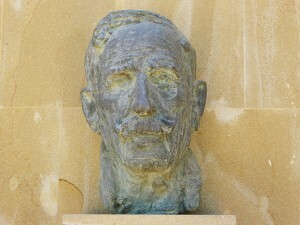 The bust was concluded in 1972. ~ Χαραυγή (Haravgi), December 19, 1972, p. 1. ~ Χαραυγή (Haravgi), December 28, 1972, p. 7. ~ Μάχη (Mahi), September 21, 1967, p. 8. This entry was posted in EOKA 1955-59 and tagged Agia Napa (Αγία Νάπα), Ammochostos (Αμμόχωστος Famagusta), EOKA 1955-59, Loukas A. Louka (Λουκάς Α. Λουκά) on by admin. 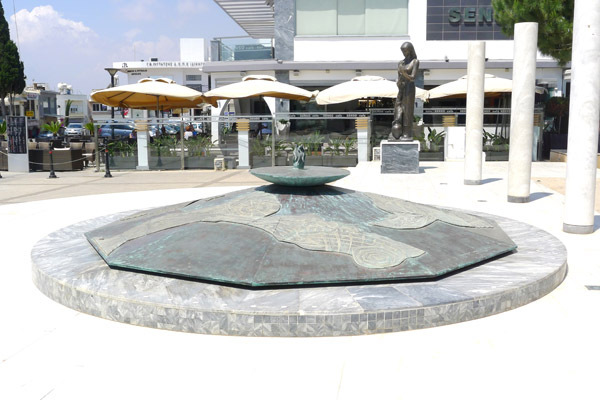 The unveiling of the monument took place on August 25th 1991. 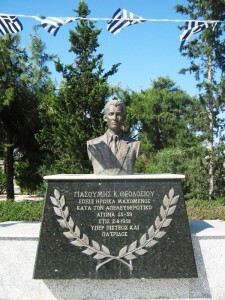 ~Φιλελεύθερος (Fileleftheros), August 24, 1991, p.10. 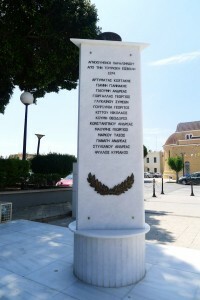 This entry was posted in Turkish Invasion and tagged Agia Napa (Αγία Νάπα), Ammochostos (Αμμόχωστος Famagusta), Spanos Leonidas (Σπανός Λεωνίδας), Yiannakis A. Pappoulis (Γιαννάκης Α. Παππουλής) on by admin. 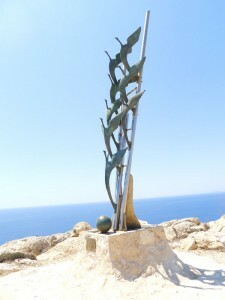 Location: Cavo Greco, Agia Napa. Ammochostos district. “The birds will be facing east, welcoming the new millennium. They are arranged in an ascending form, symbolizing the sun’s path. This rising line could also symbolize Agia Napa’s growth. The sphere is an allegory of earth […]. 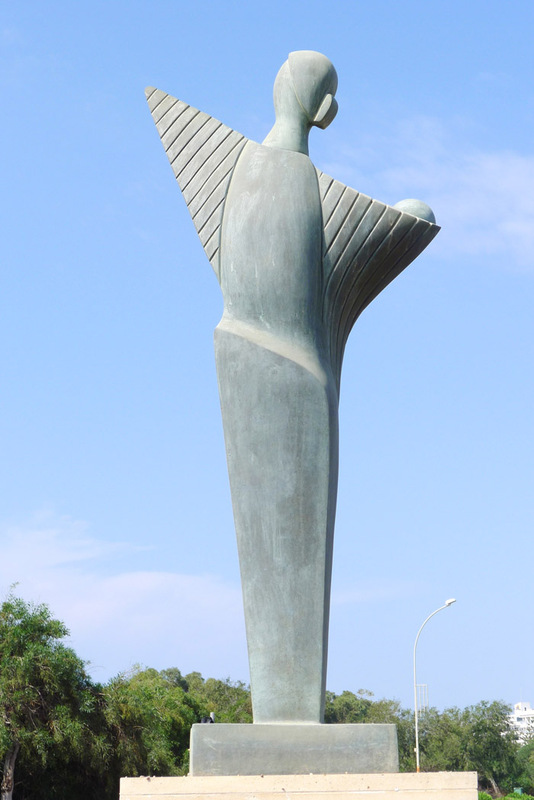 The lamina symbolizes the wave (the sea) and the birds, coming from the sea, are sitting on the waves”. 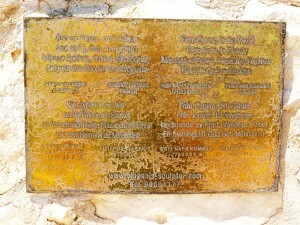 On the dedicatory plaque, on the basis of the artwork, Yiapanis notes: “From Cyprus, to the World. From Earth, to Eternity. 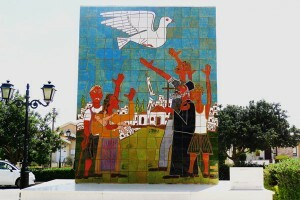 Message of Peace, Friendship, Freedom. Belief to God and to Man. 1/1/2000 A.C.”. ~ Κρατικό Αρχείο Κύπρου, Αρχείο Πολιτιστικών Υπηρεσιών Υπουργείου Παιδείας & Πολιτισμού (State Archive of Cyprus): 268/1968/19, documents September 8, 1999; September 14, 1999. This entry was posted in Modern sculpture and tagged Agia Napa (Αγία Νάπα), Ammochostos (Αμμόχωστος Famagusta), Modern Sculpture, Yiapanis Philippos (Γιαπάνης Φίλιππος) on by admin. 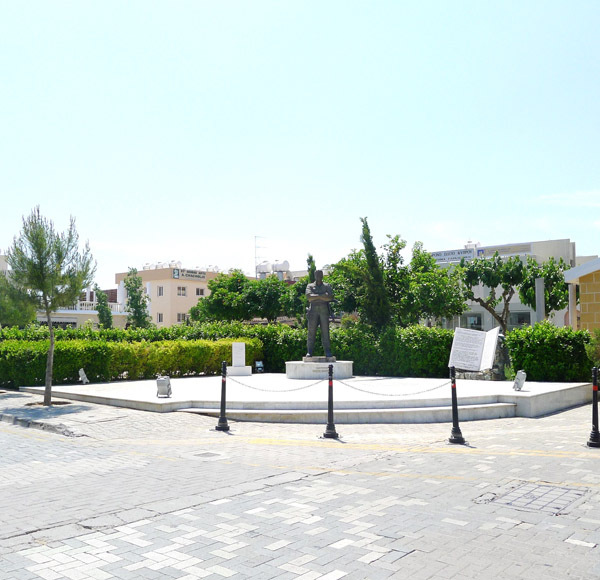 Location: Yiorgos Savvidis square, Agia Napa. Ammochostos district. The work was assigned to the sculptor by the Agia Napa Municipality and was concluded in 2007. 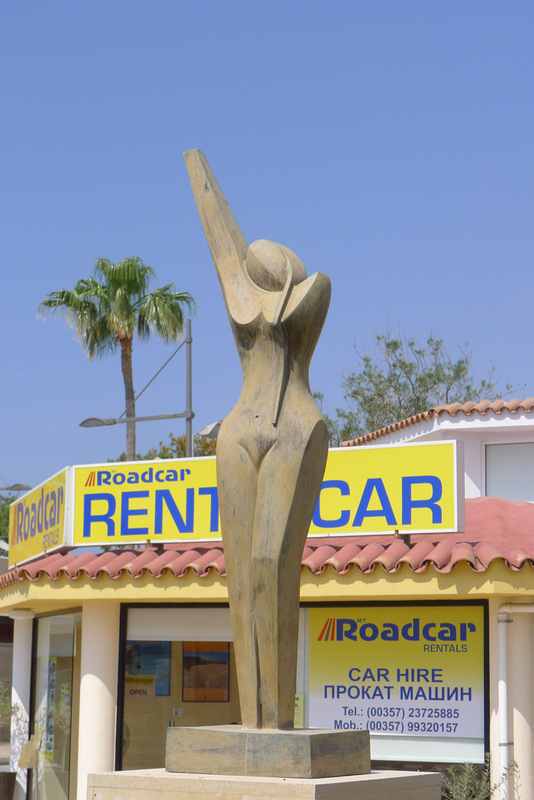 Location: Nissi Avenue Agia Napa. Ammochostos district. 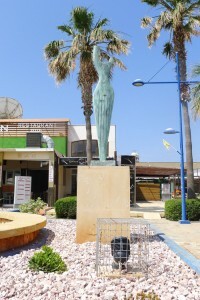 Location: Agia Napa “Oktagono”. Ammochostos district. 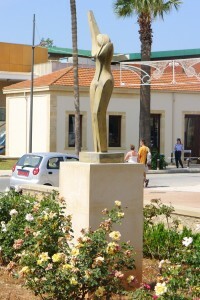 Location: Agia Napa’s square at the port. 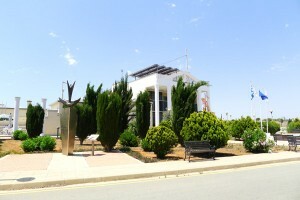 Ammochostos district.